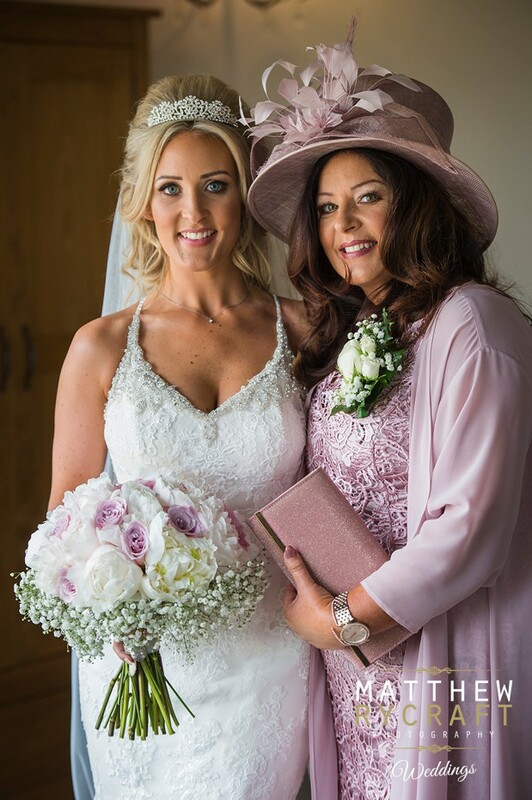 Danielle’s mum recommended The Flower Rooms near Warrington. 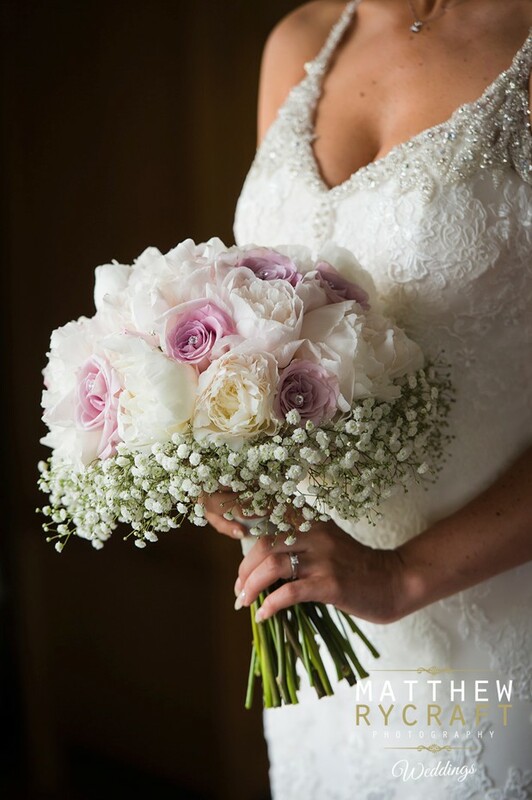 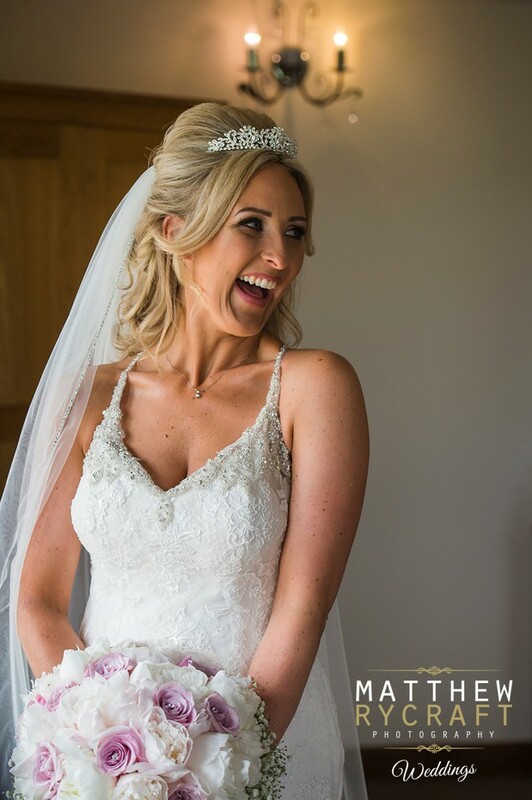 “Our blooms were exactly what I’d envisaged – and I can be a little bit fussy!” remembers the bride. 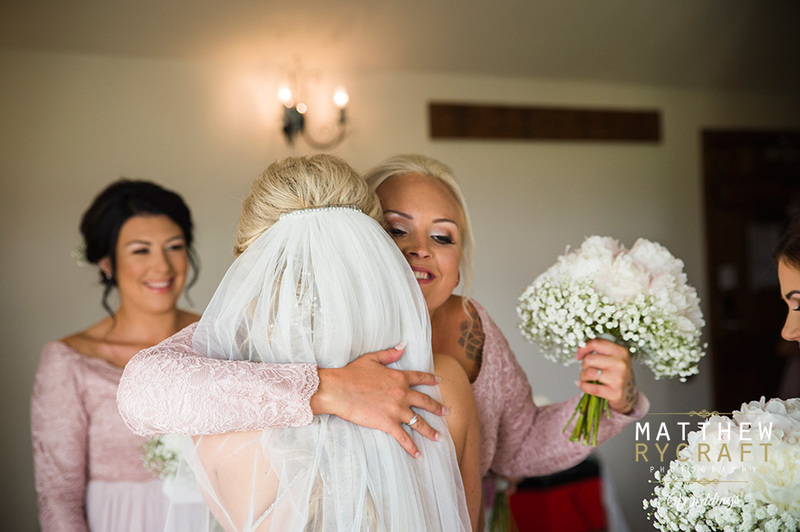 Danielle enlisted the help of a local lady called Sandra to provide all of her stationery. 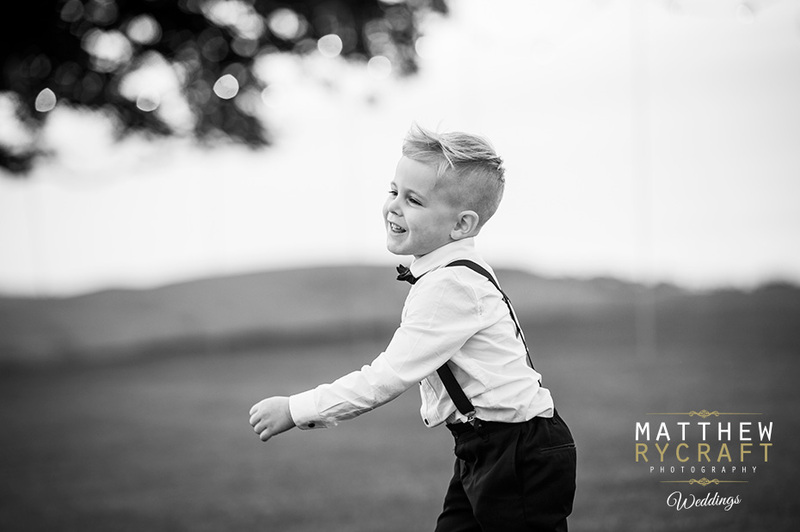 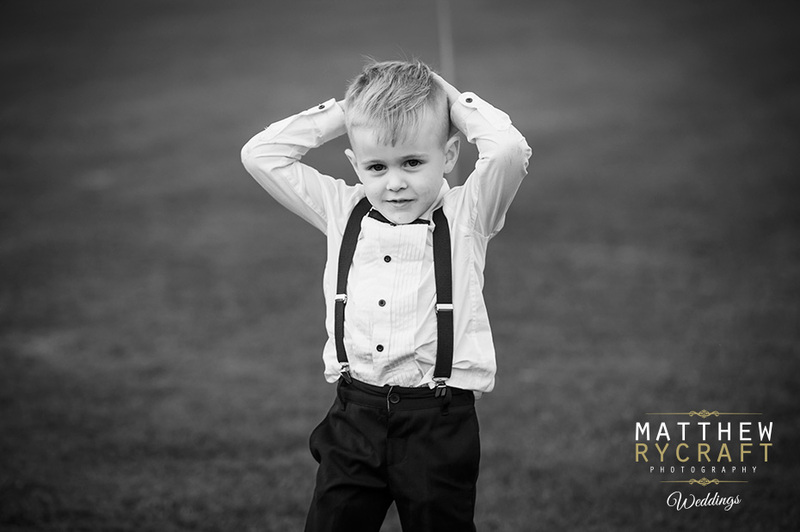 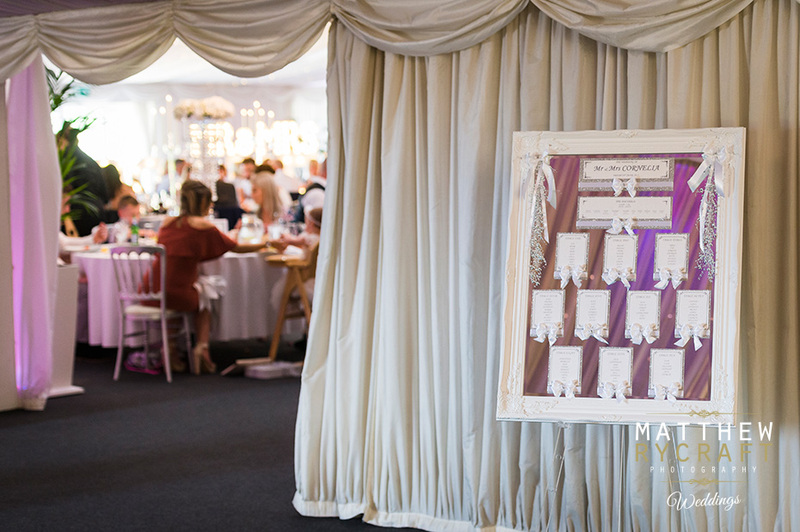 “Everything from the invitations to the table plan was so pretty. 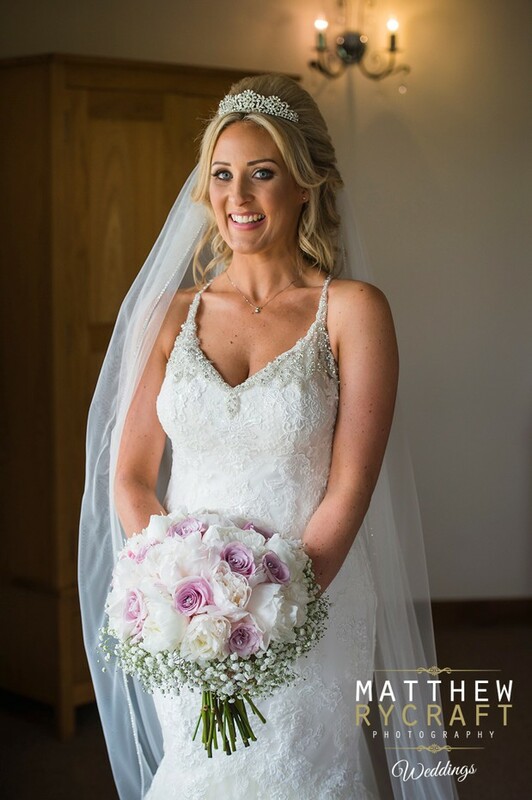 Our favours were an envelope with a poem and a scratchcard inside,” says Danielle. 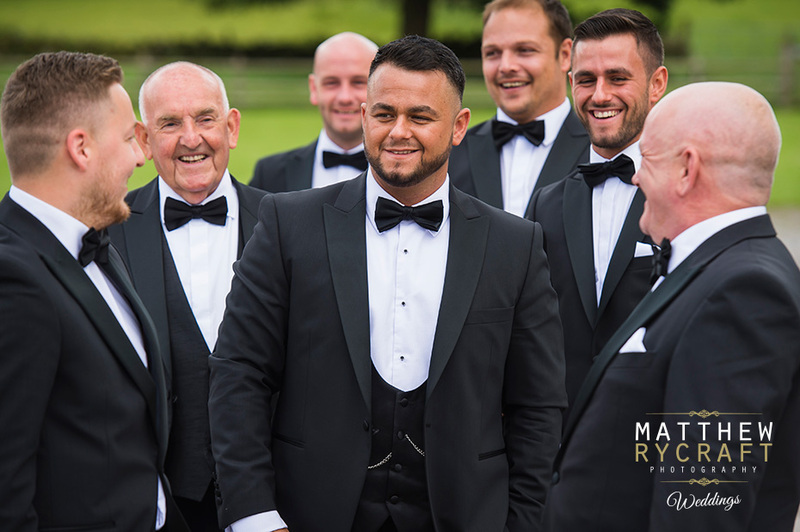 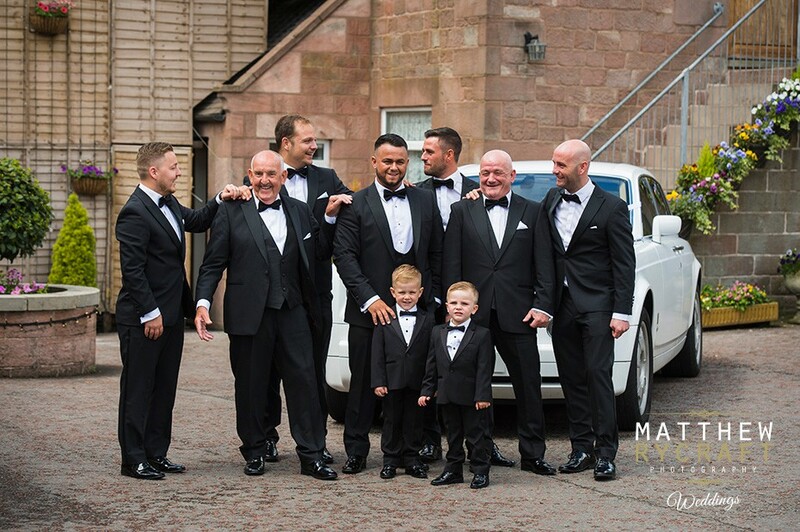 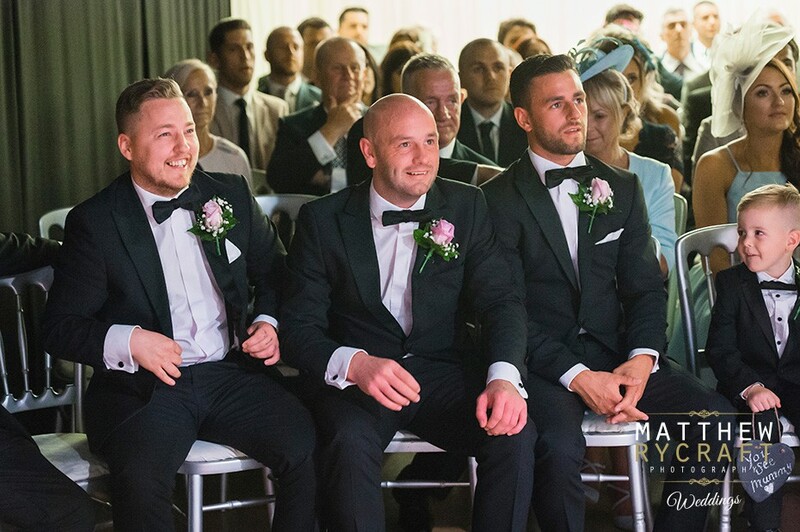 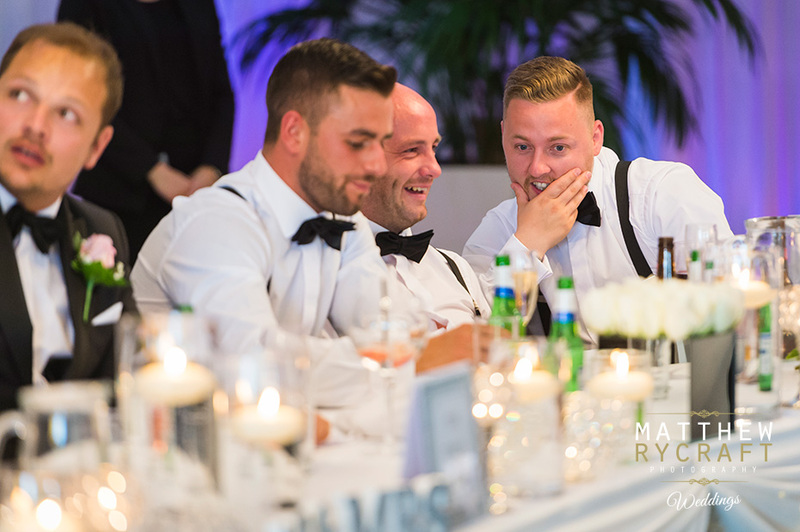 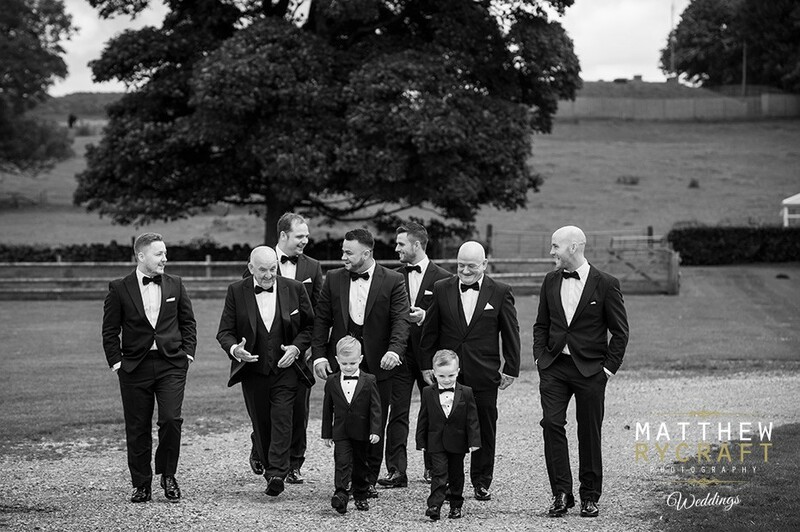 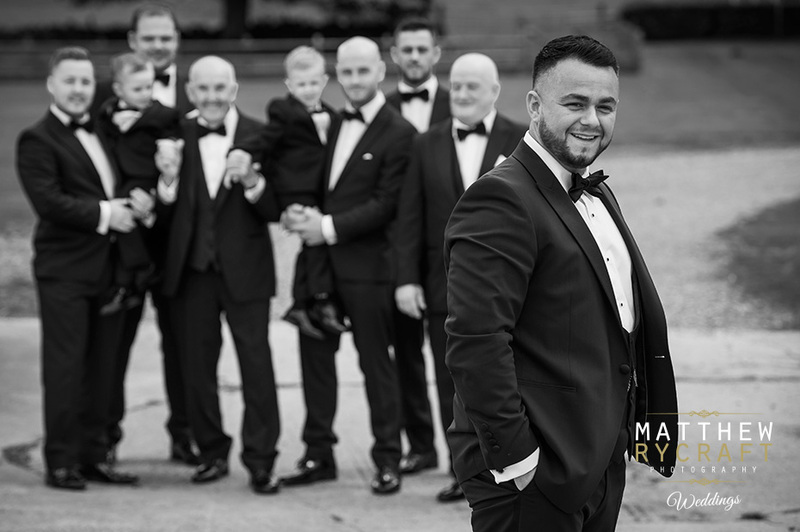 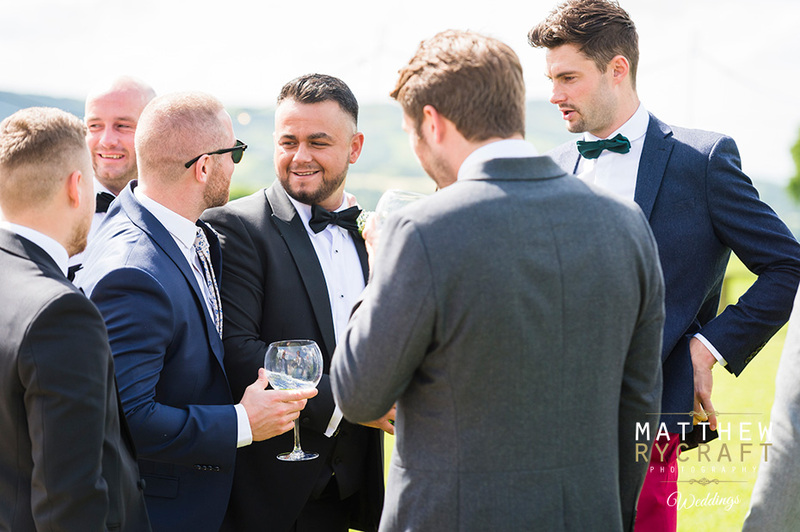 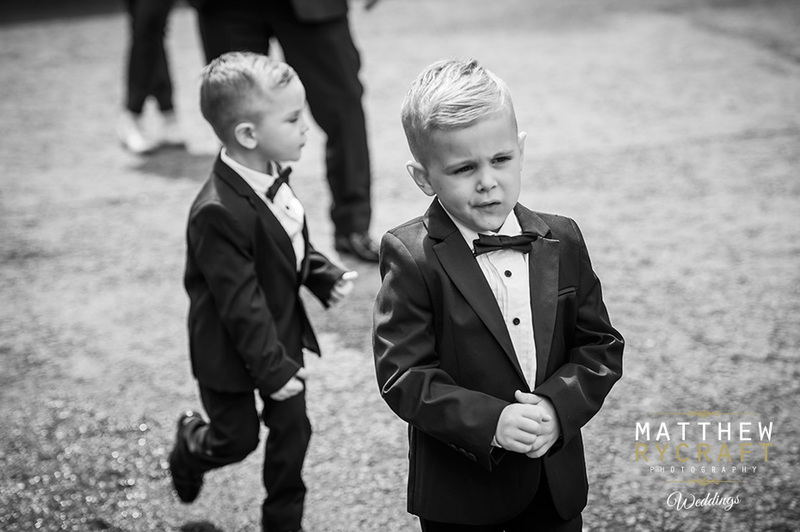 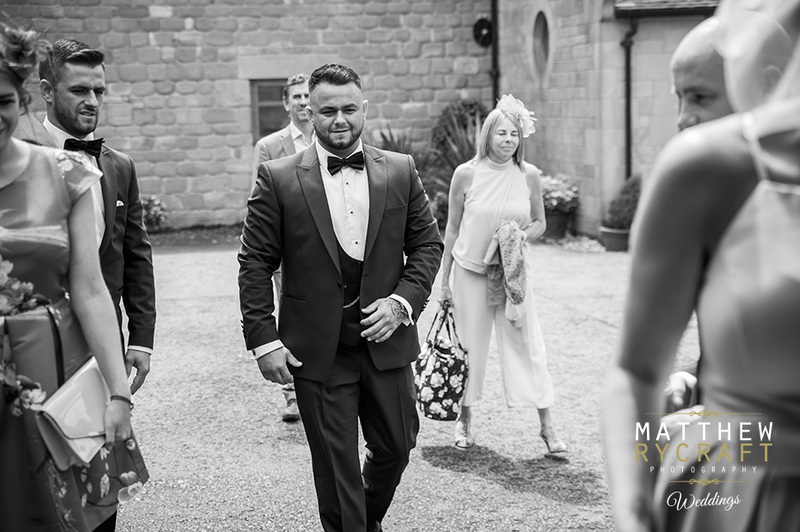 To keep with the elegant look of the day the groom and his groomsmen sported black dinner suits. 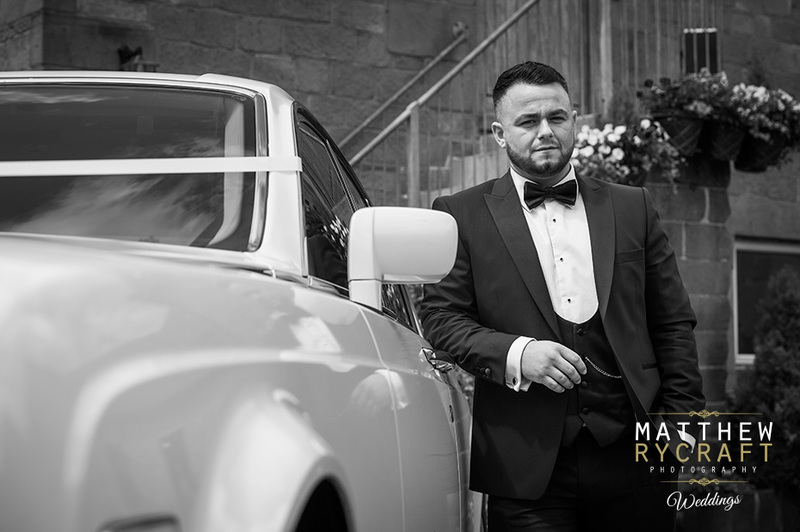 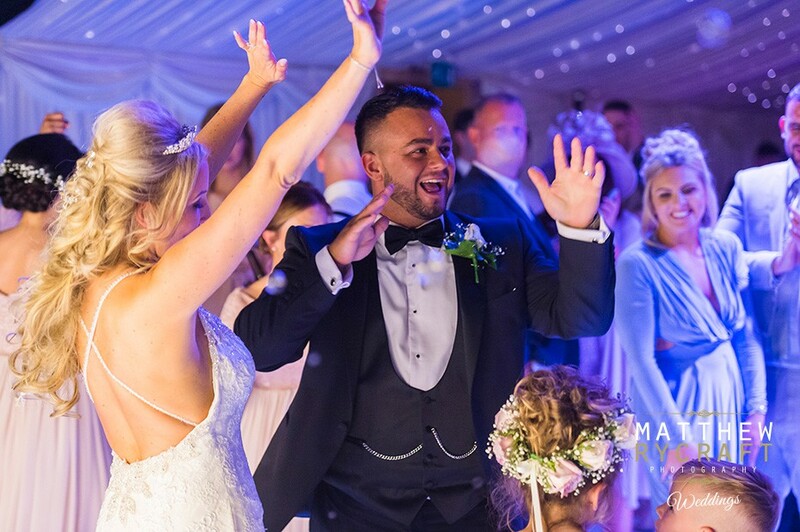 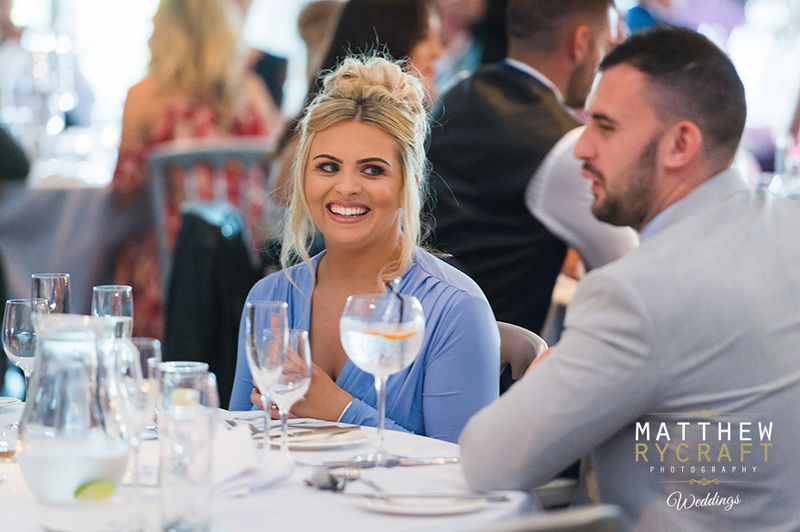 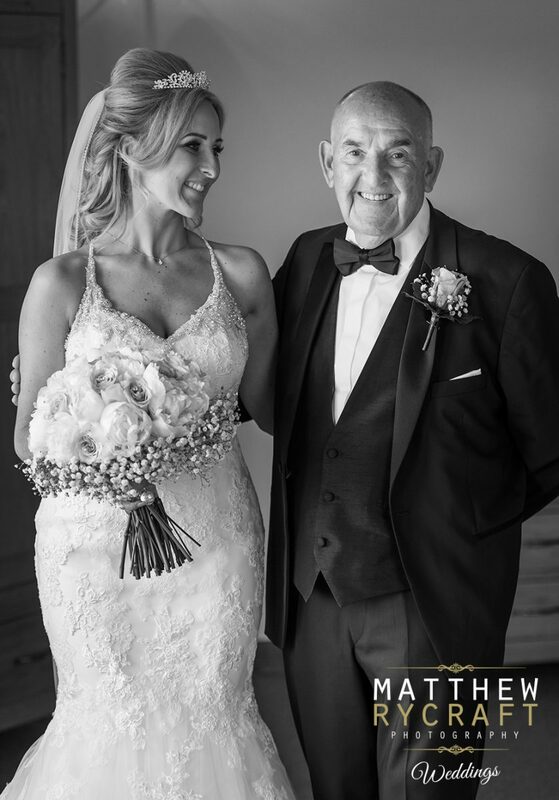 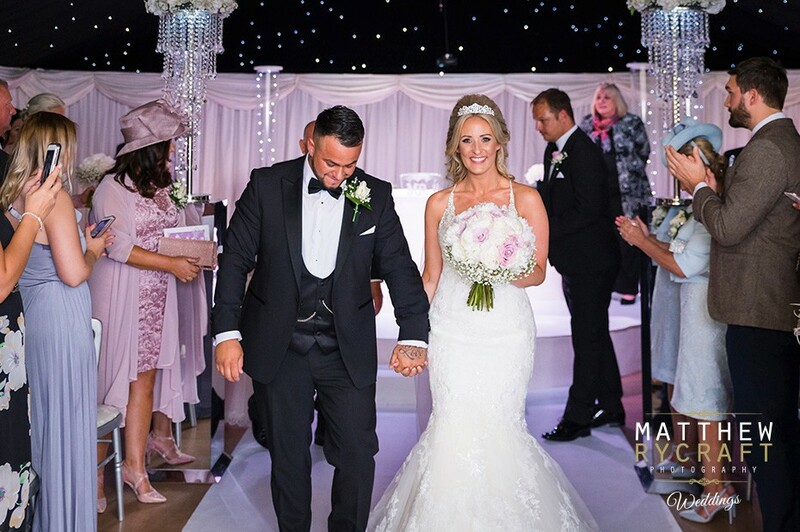 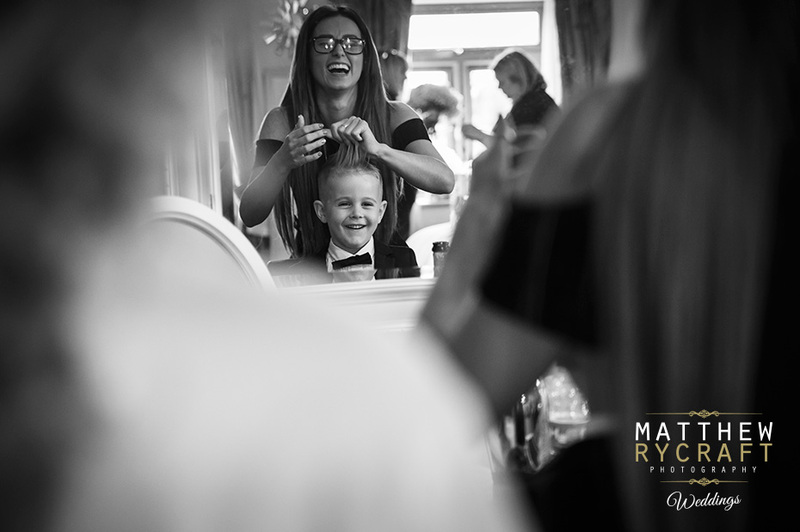 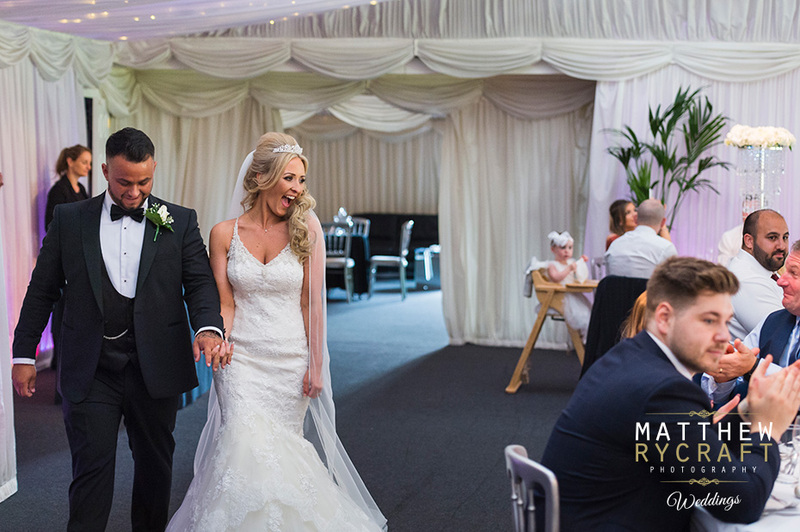 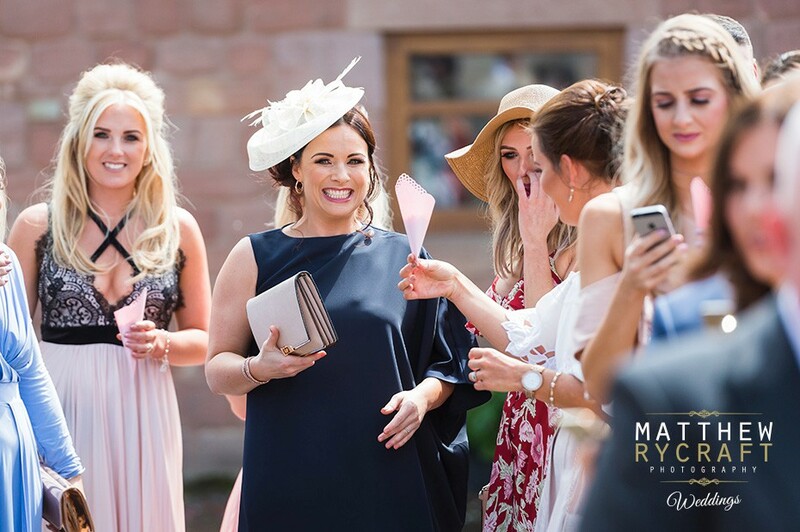 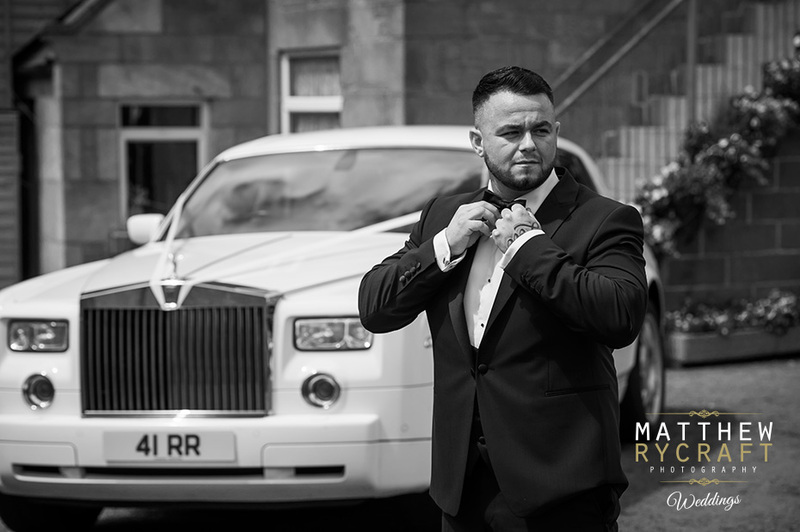 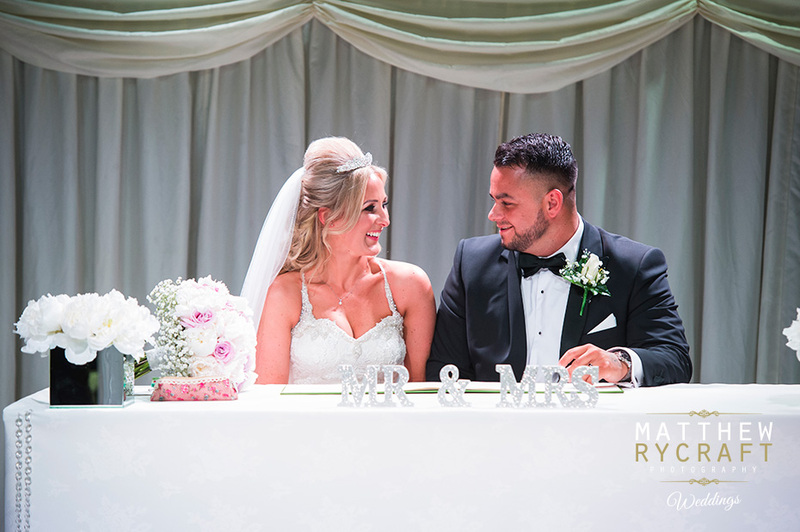 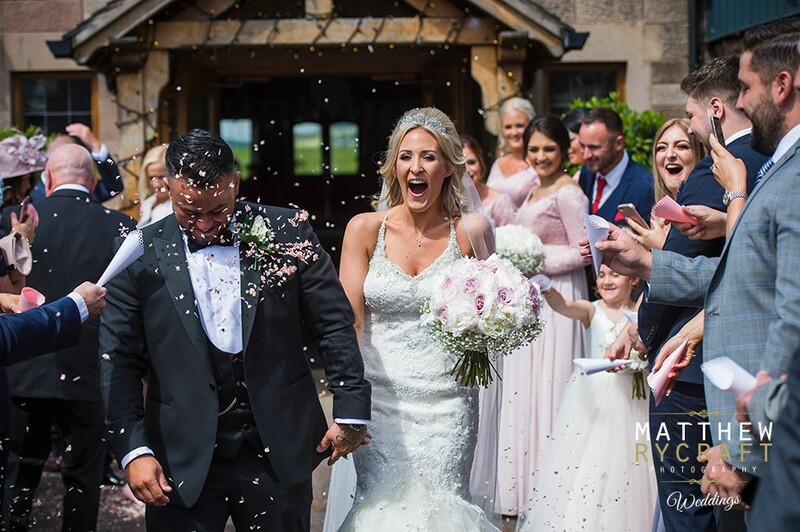 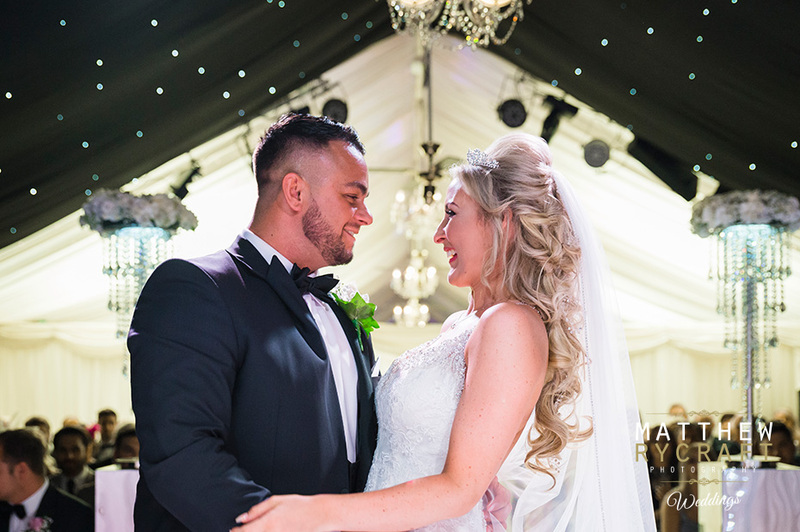 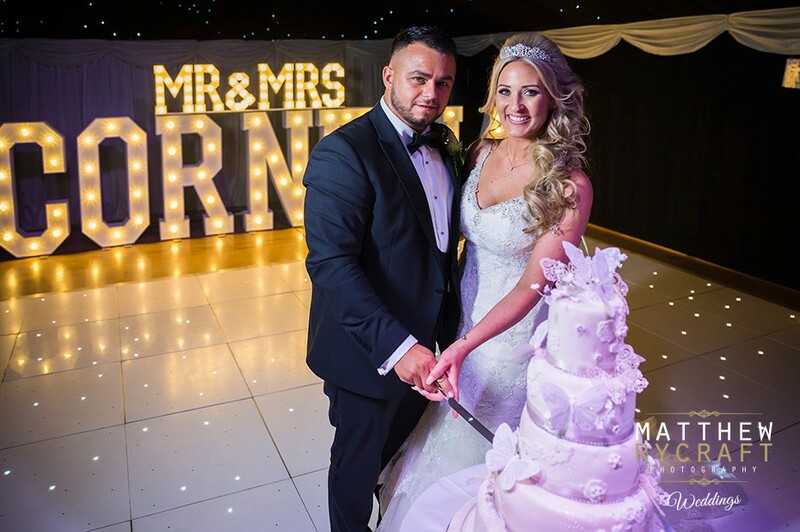 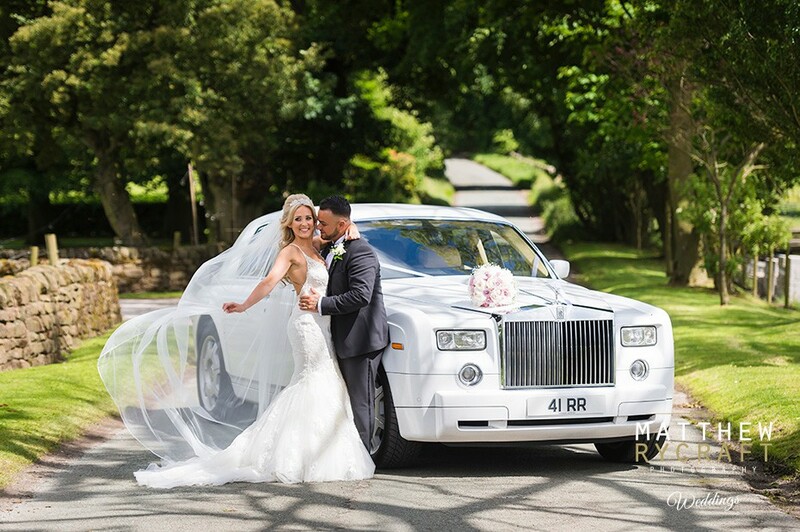 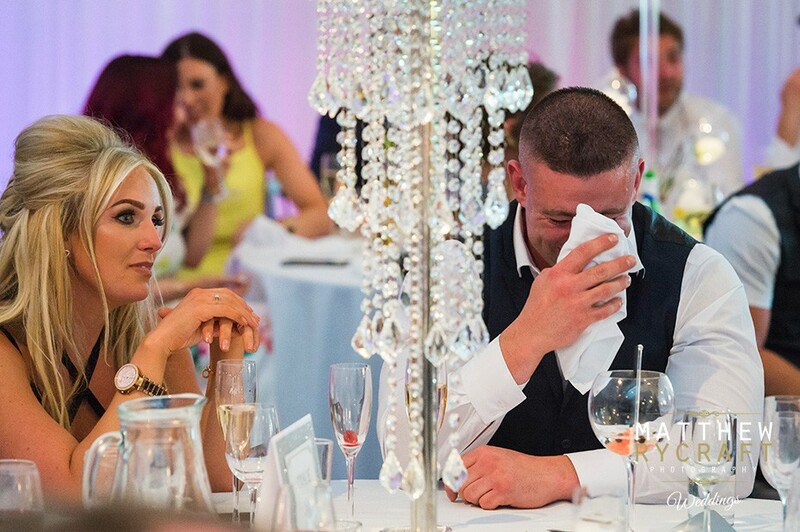 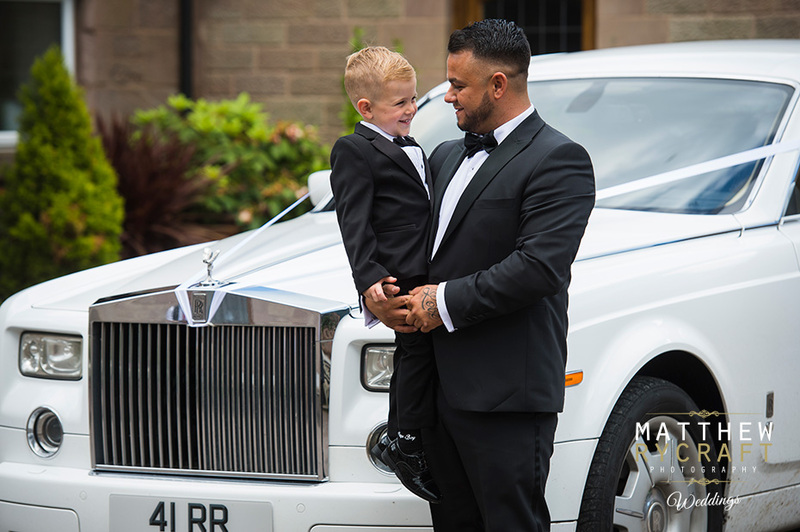 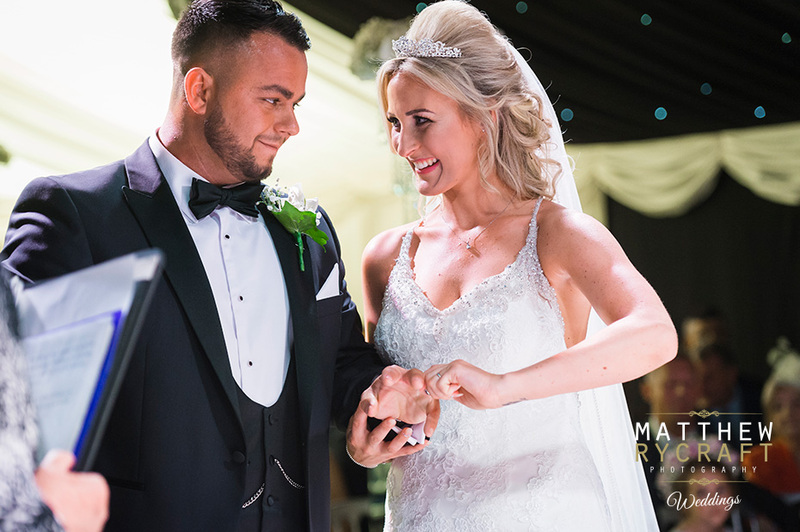 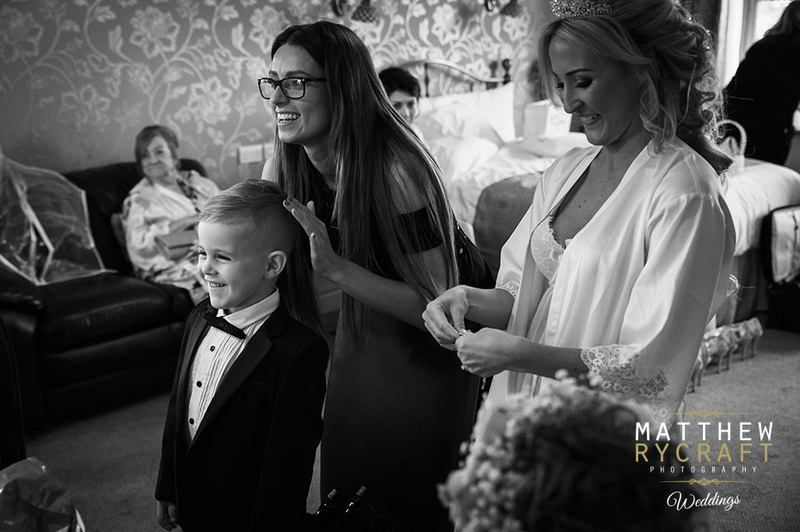 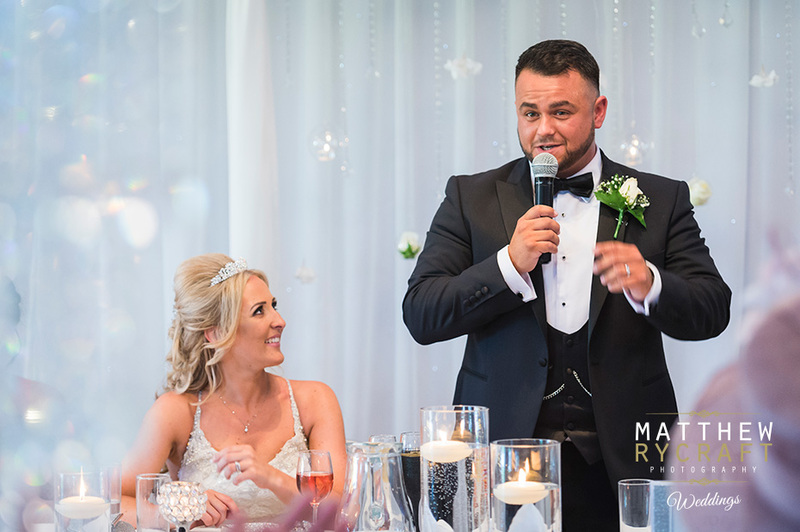 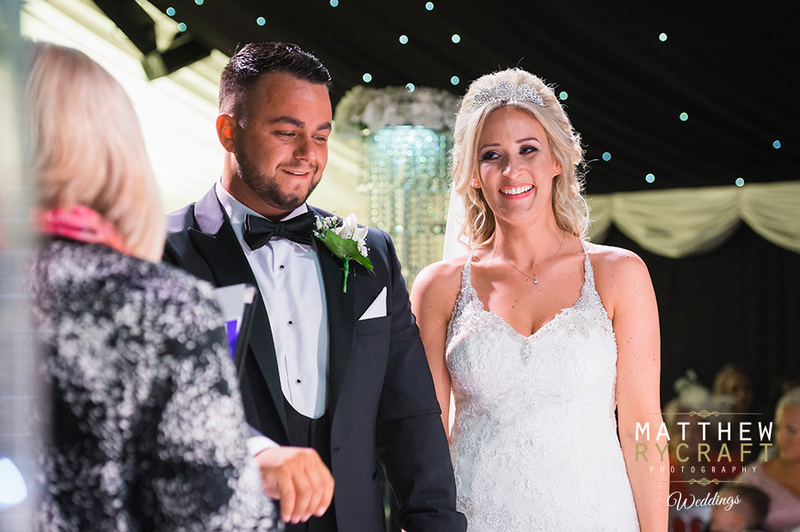 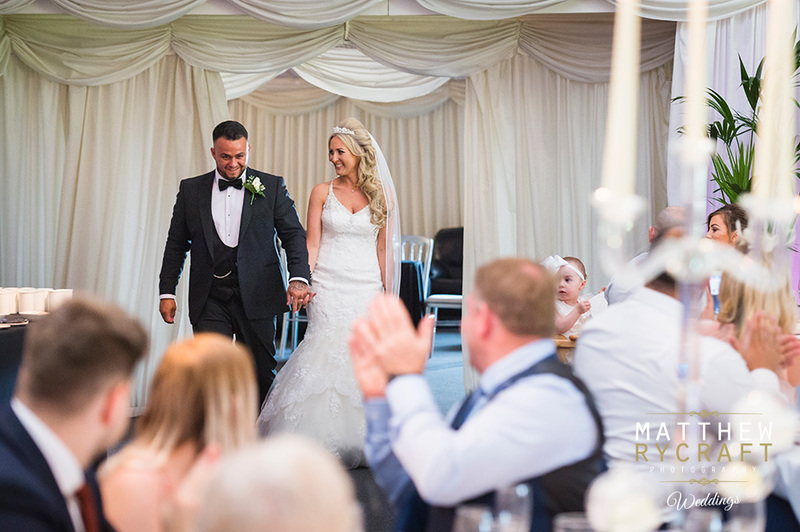 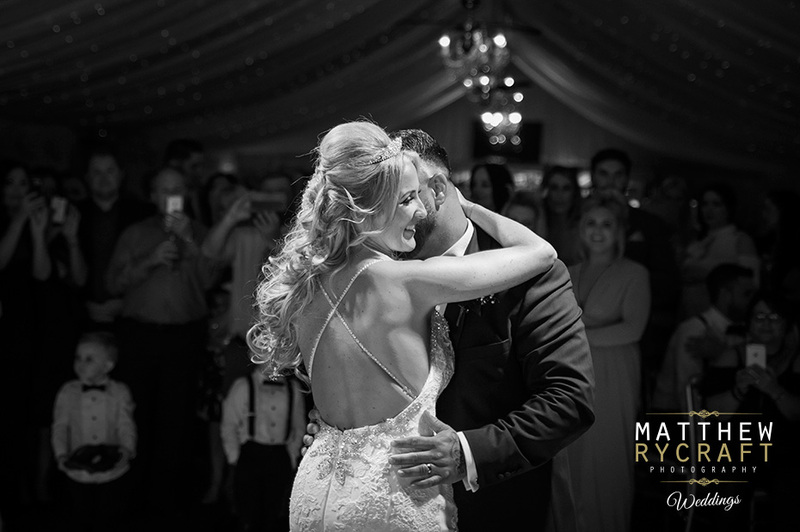 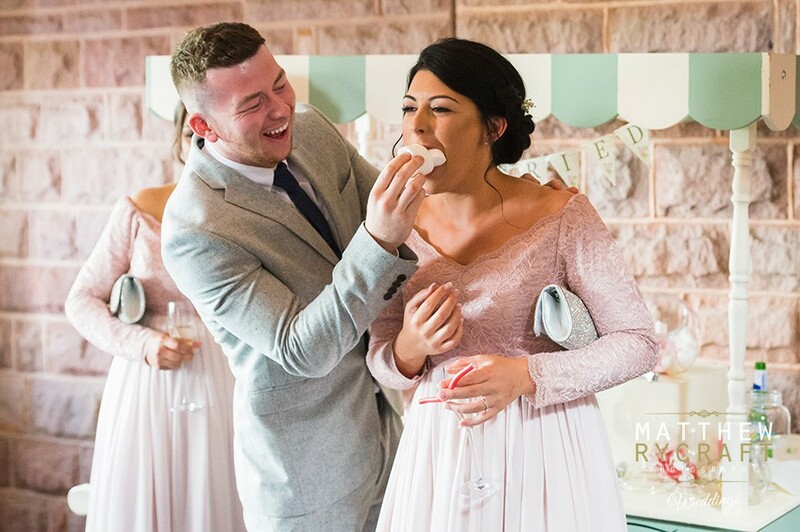 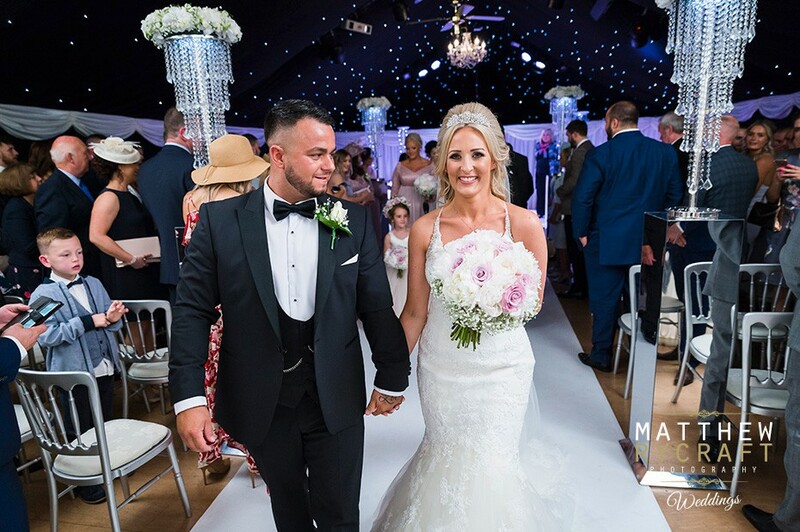 “Craig had a custom- made shirt from Whitfield & Ward in Wilmslow – he looked so handsome,” says Danielle. 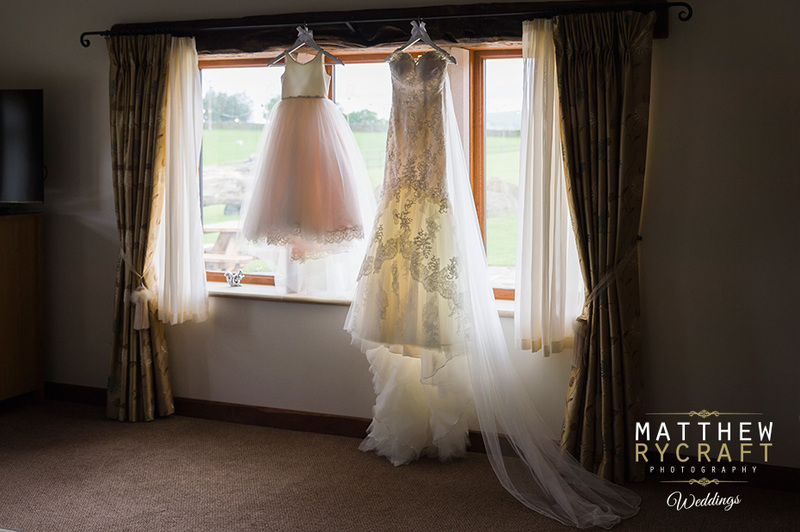 The bridesmaids’ dresses were not so easy to find. 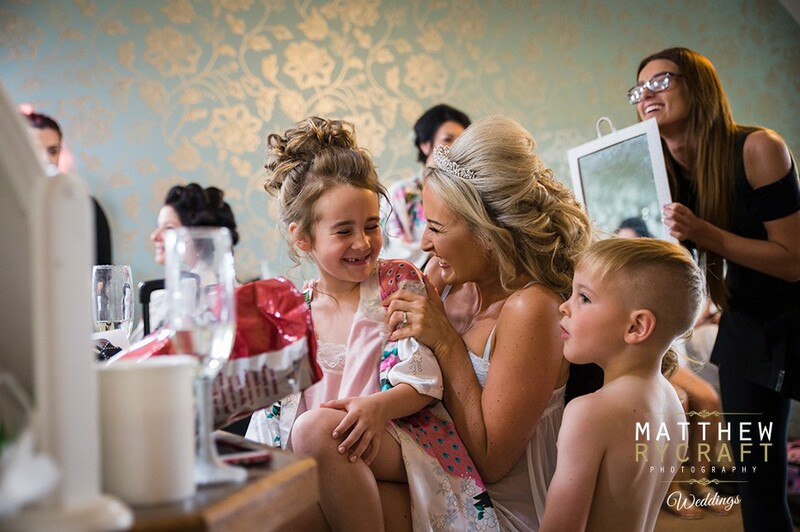 “I wanted my girls to have long sleeves. 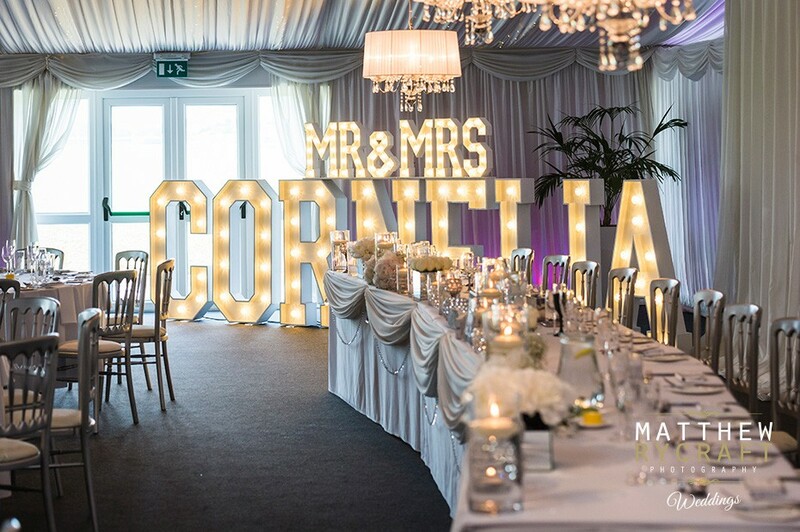 After trawling the shops to no avail we decided to have them made. 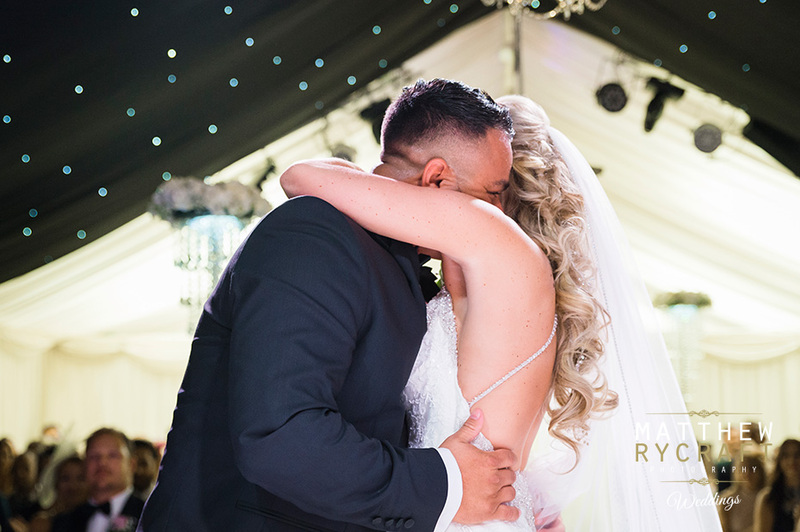 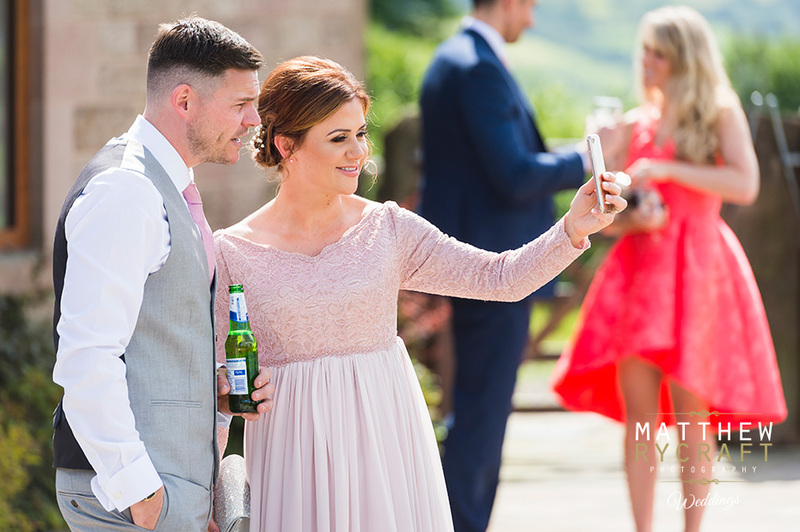 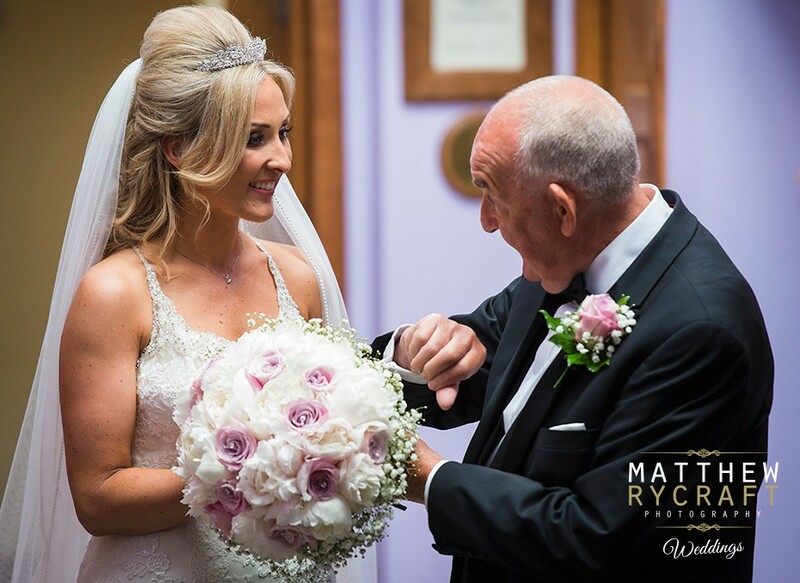 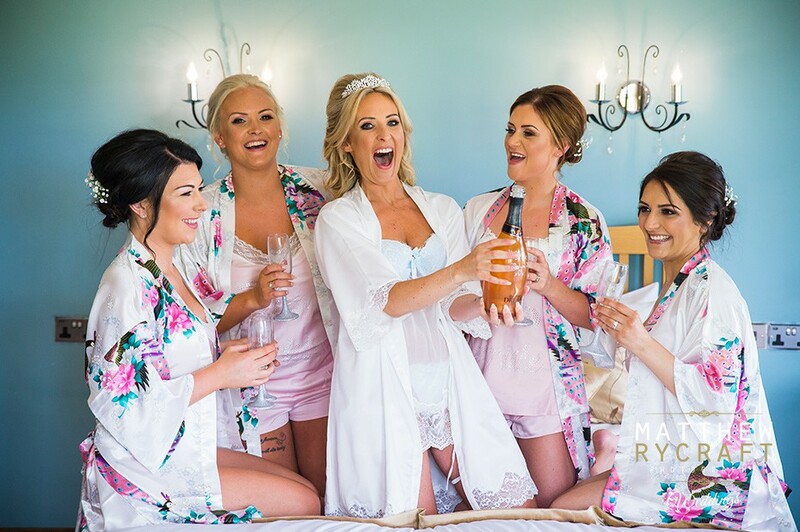 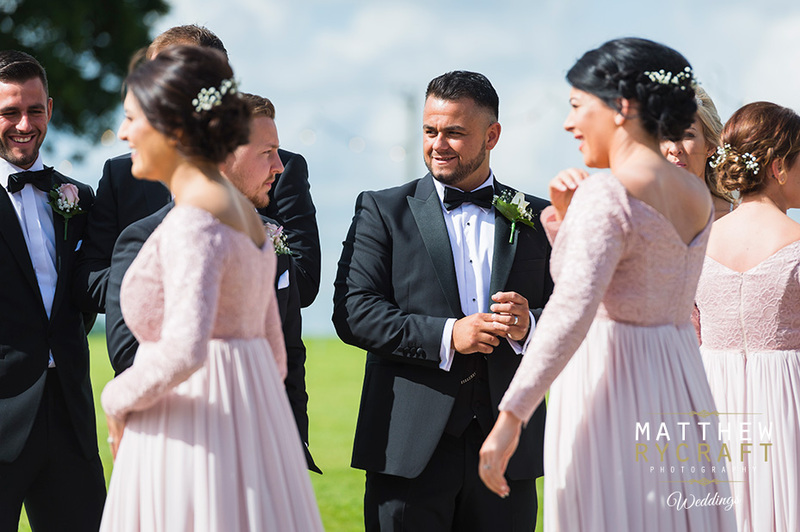 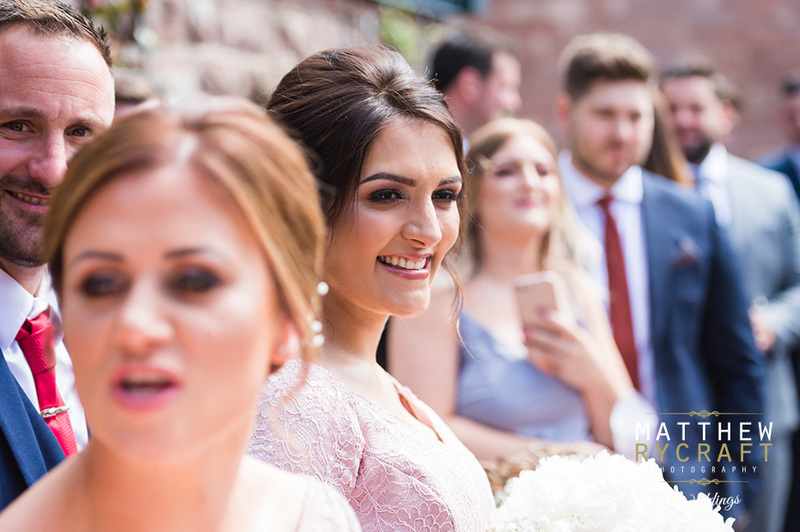 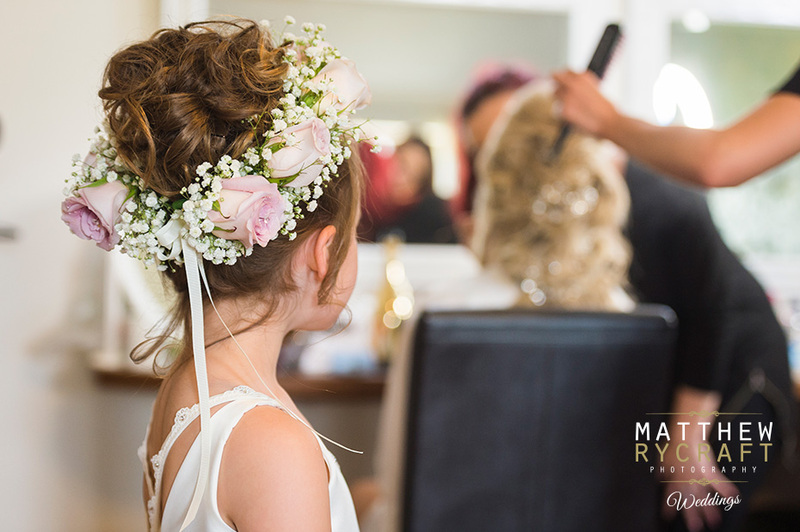 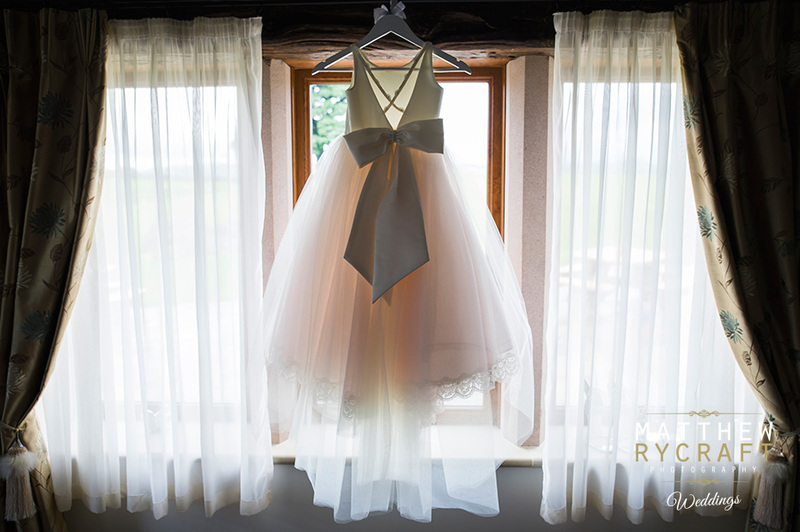 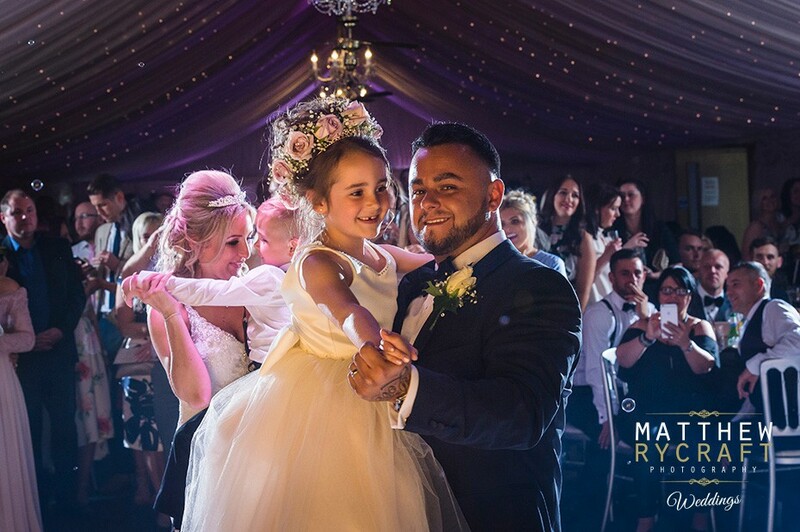 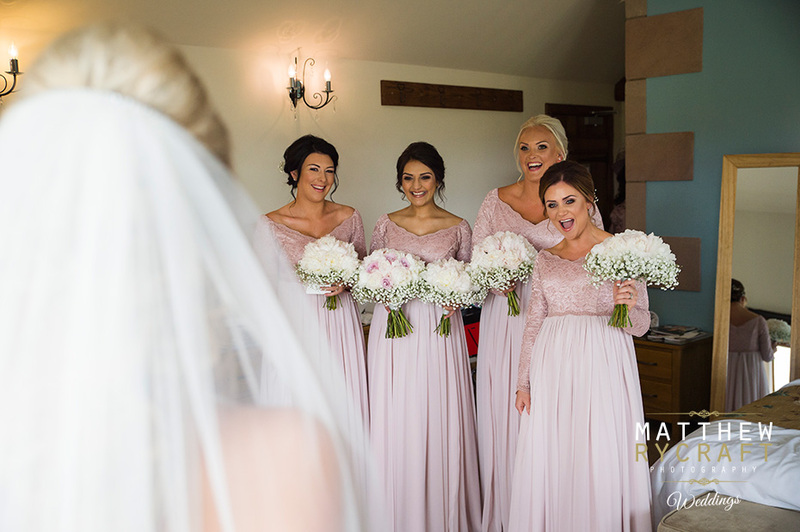 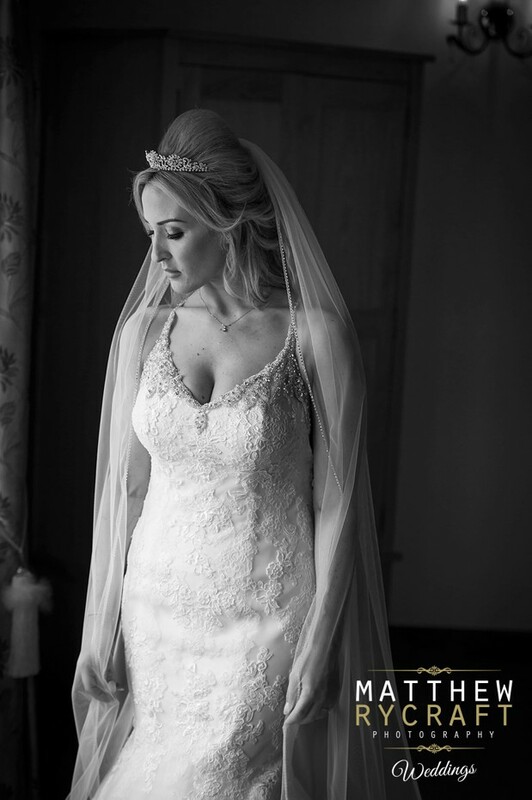 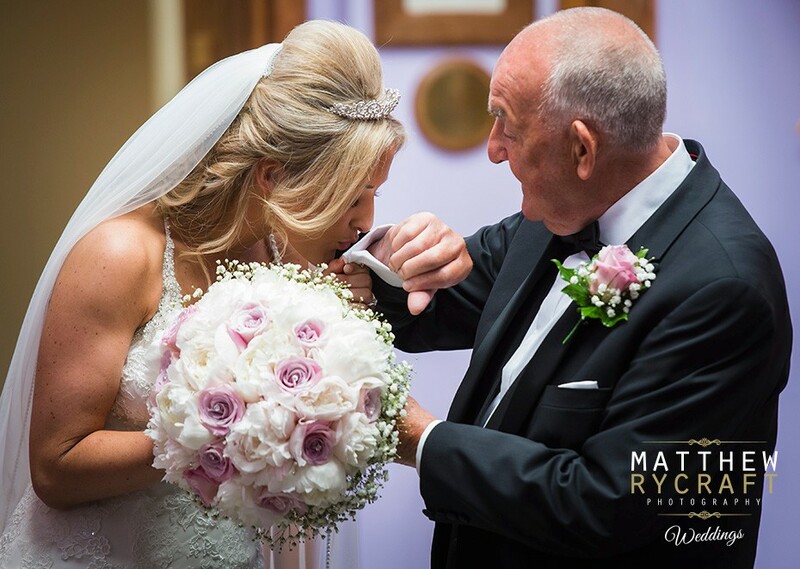 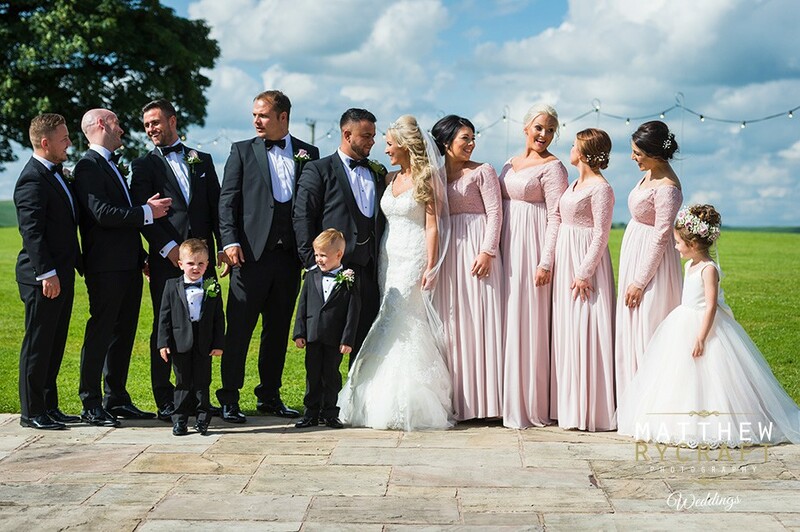 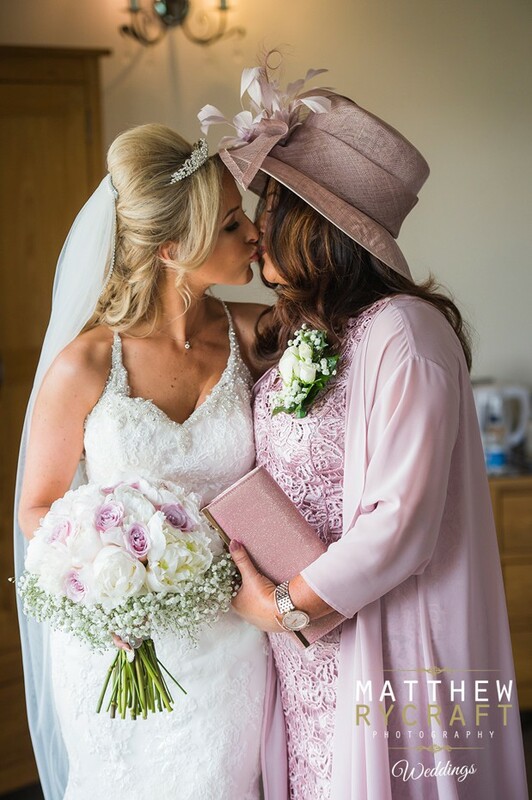 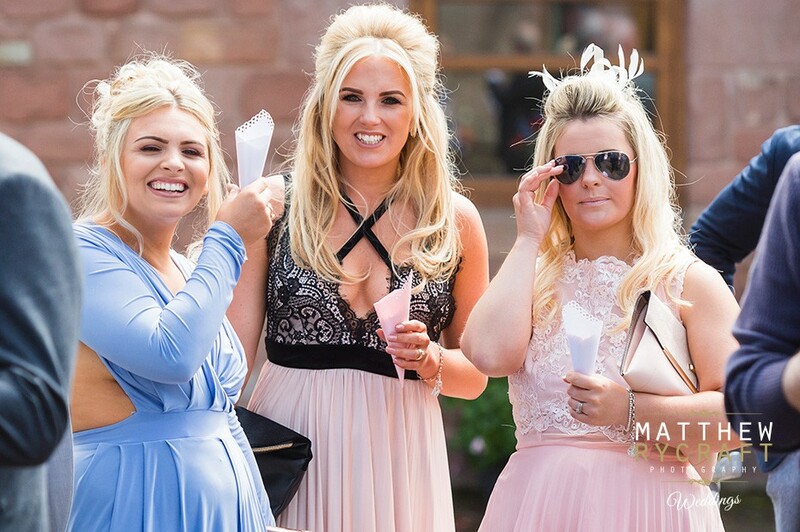 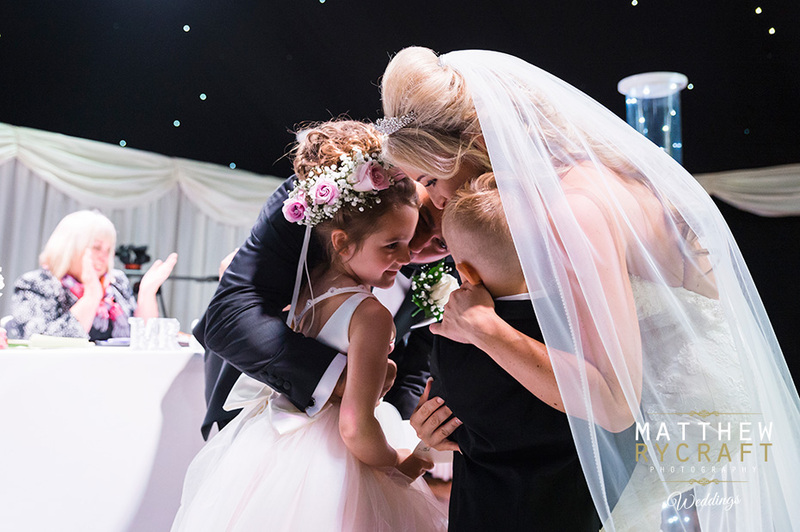 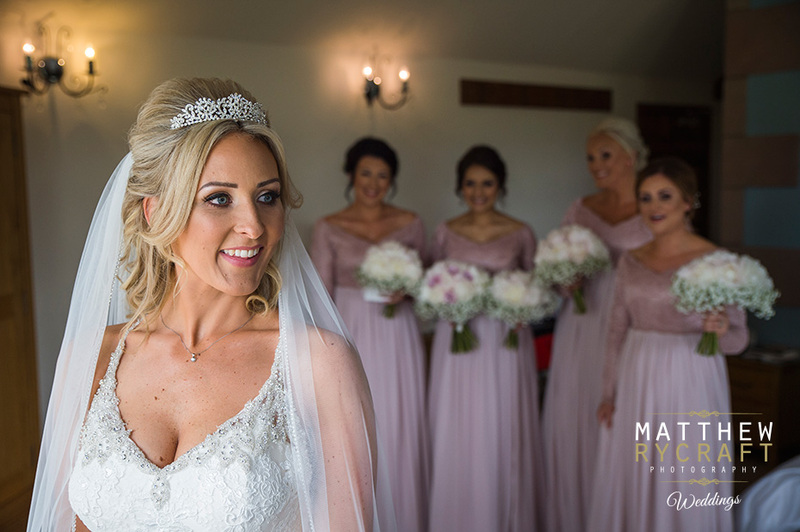 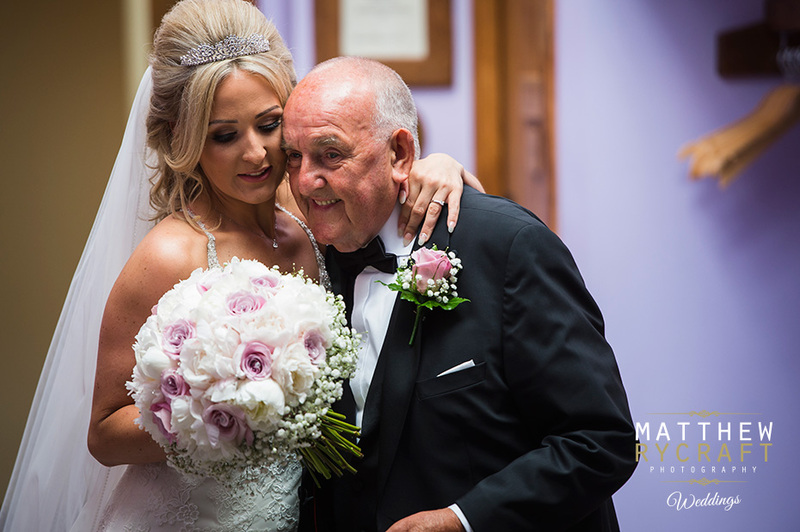 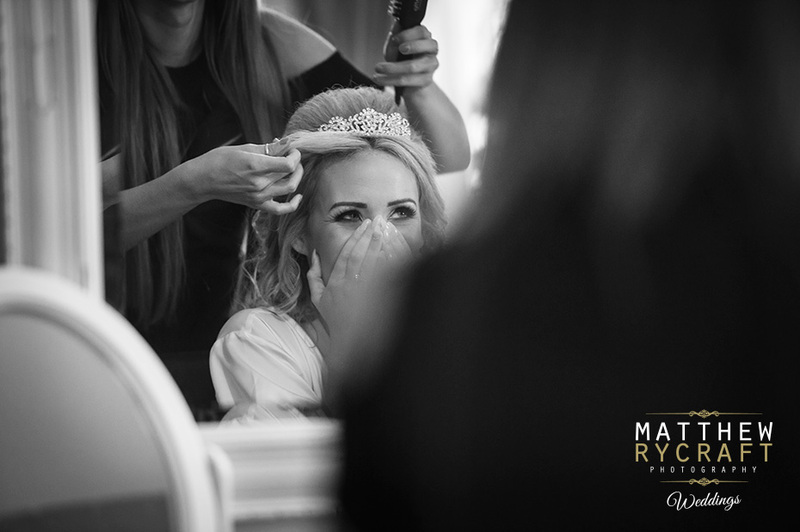 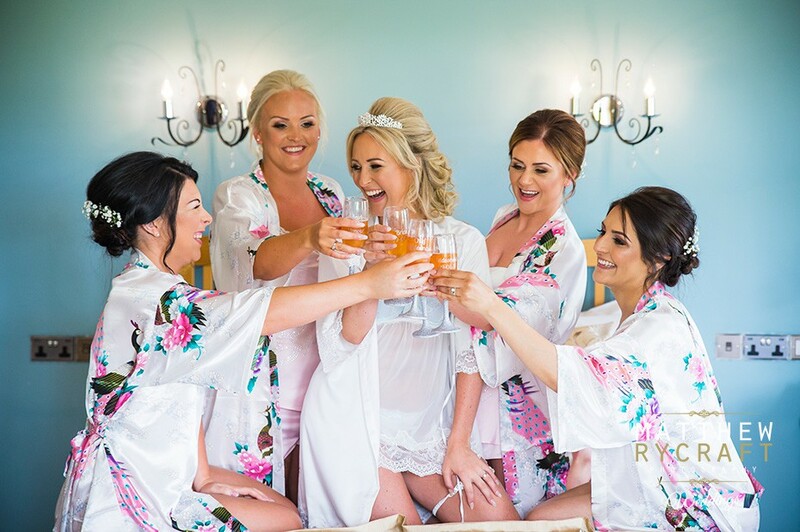 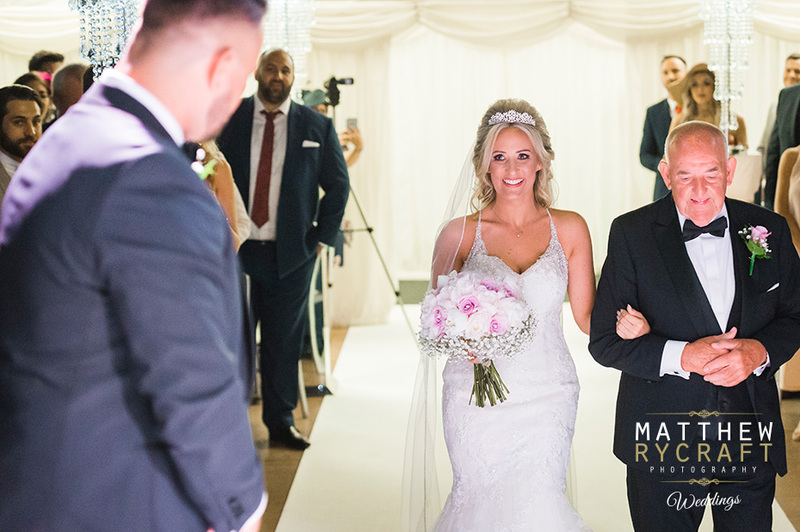 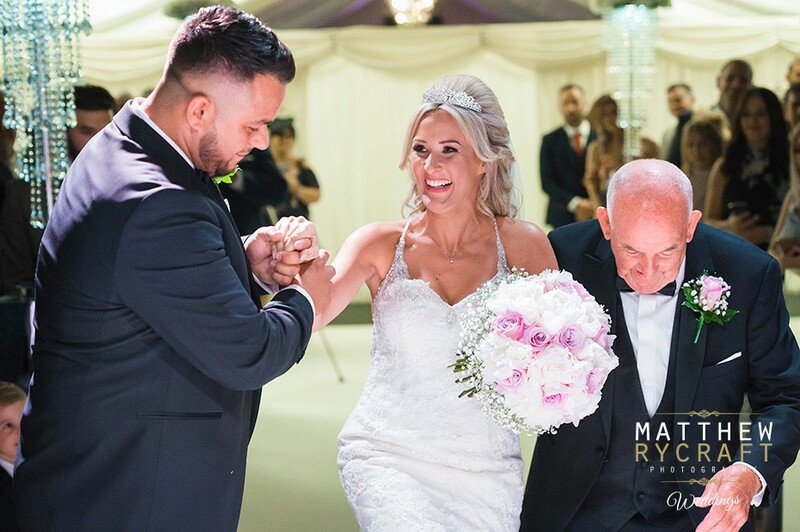 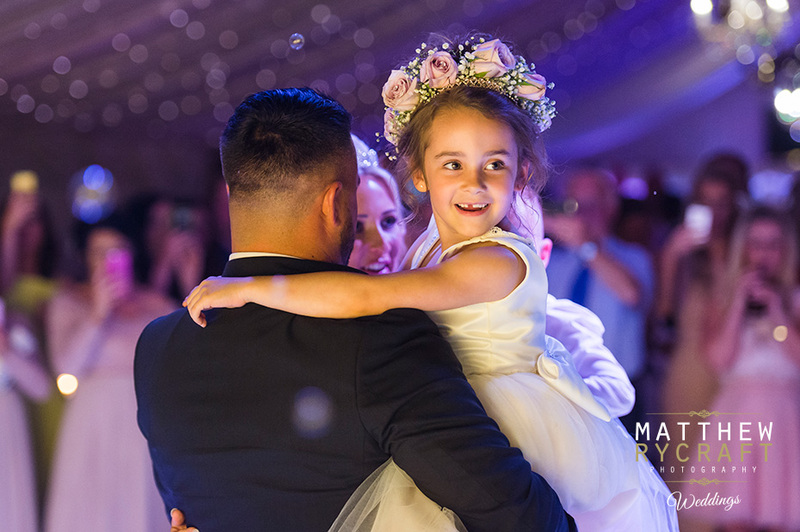 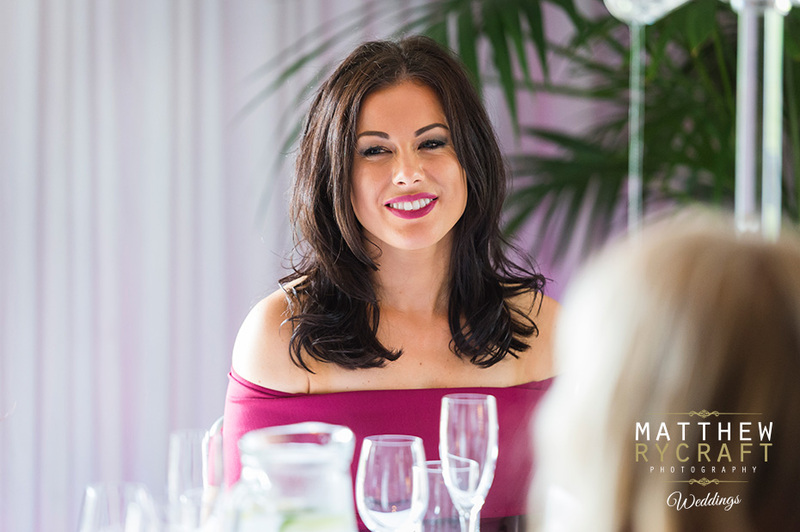 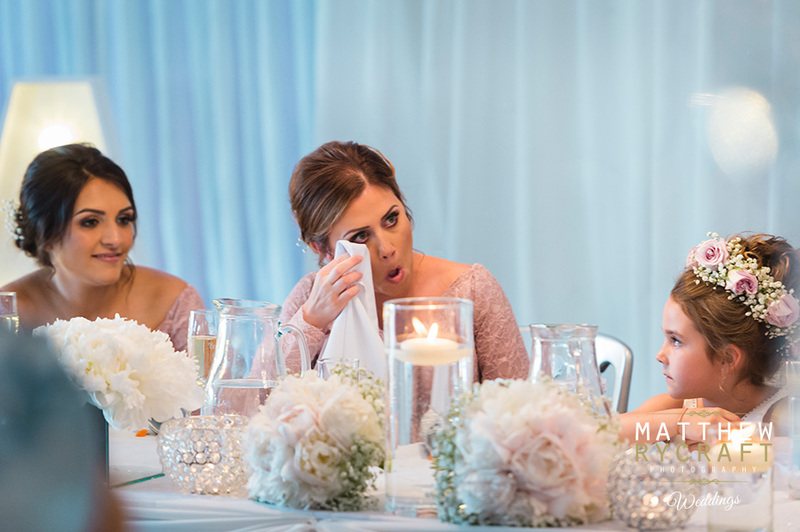 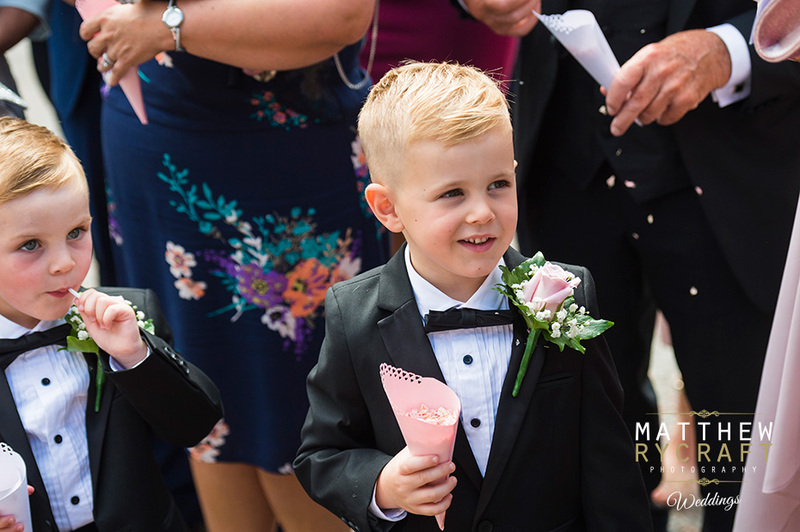 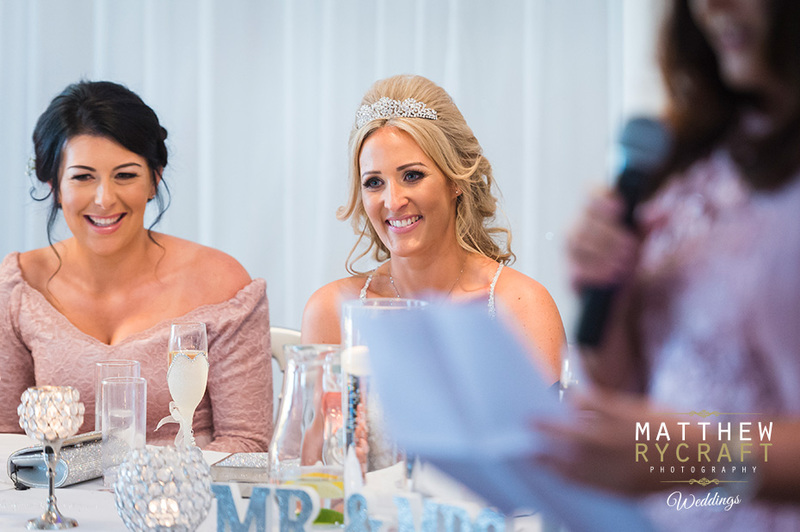 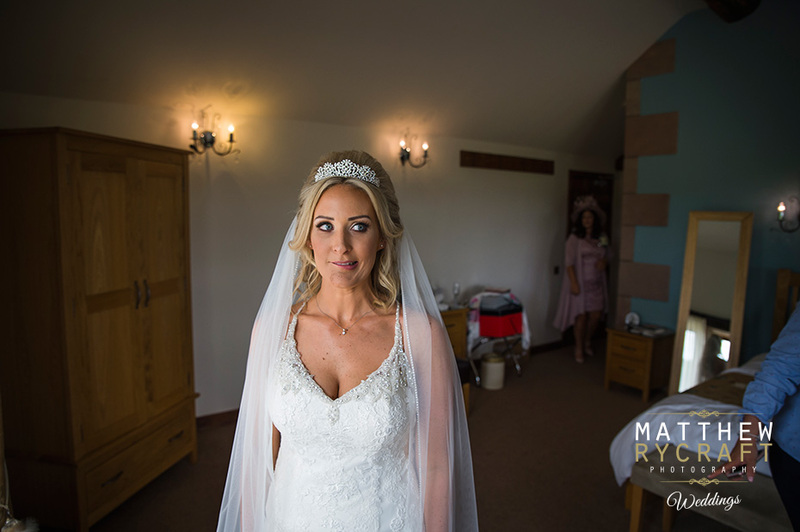 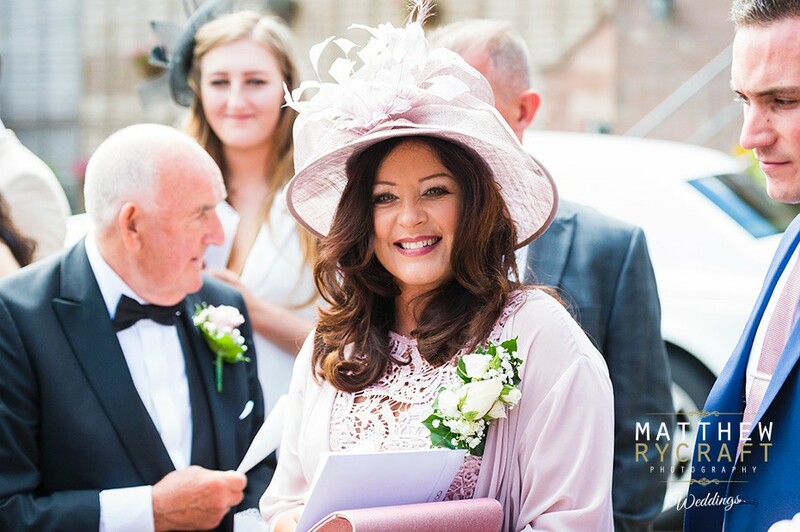 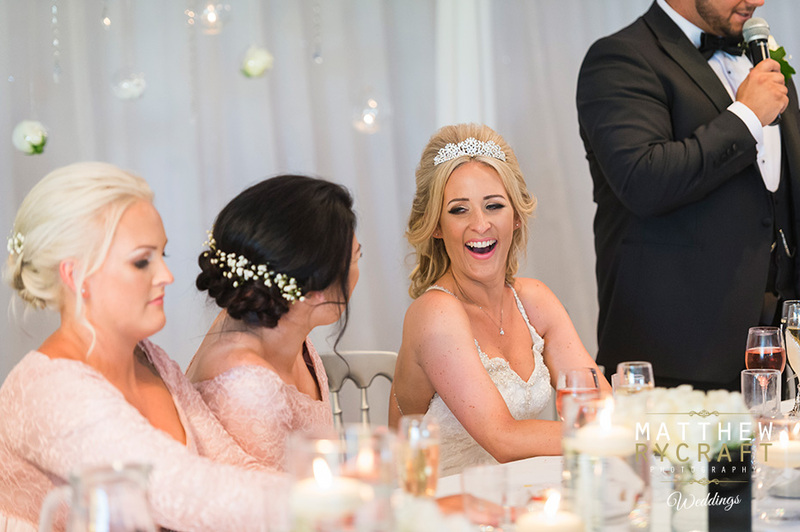 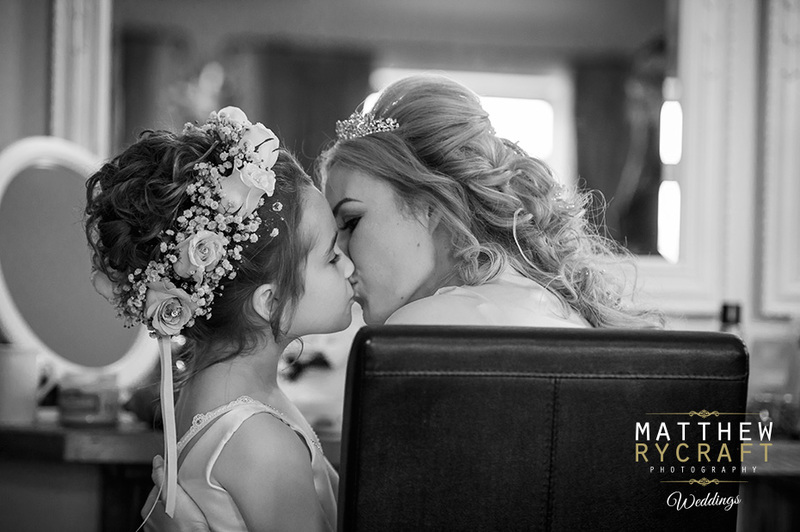 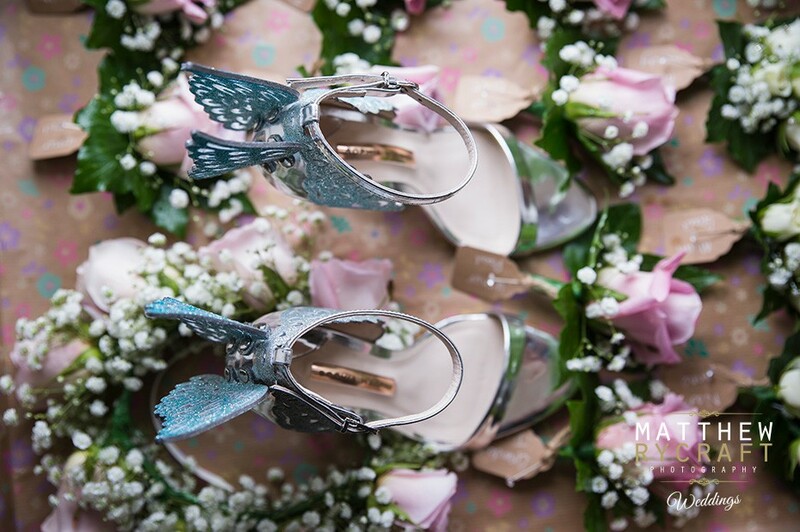 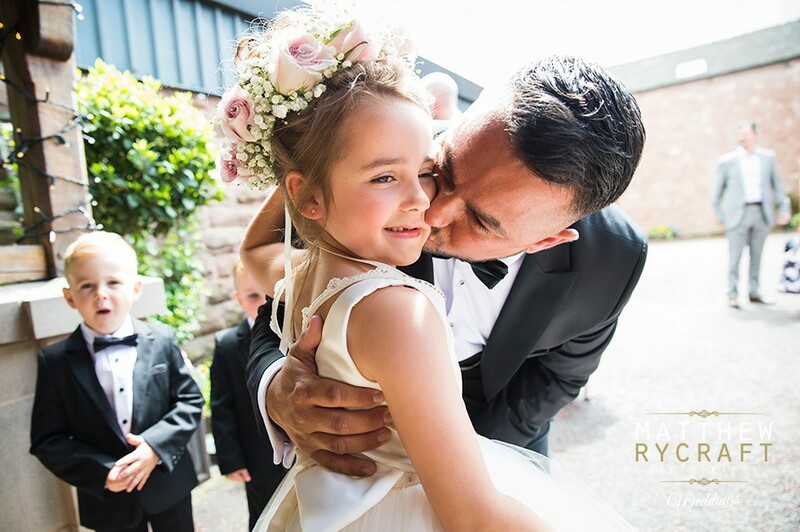 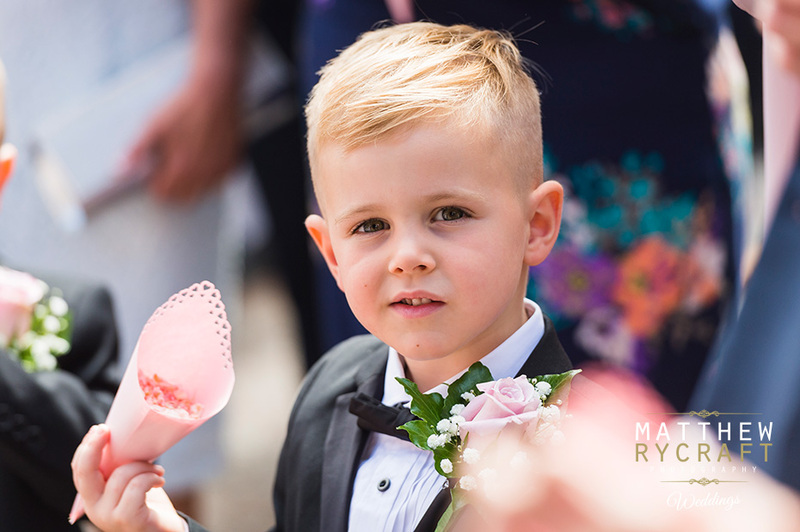 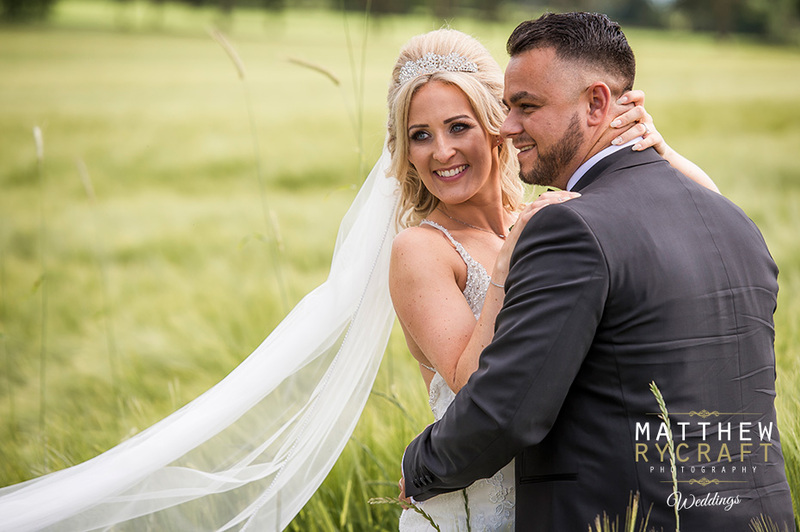 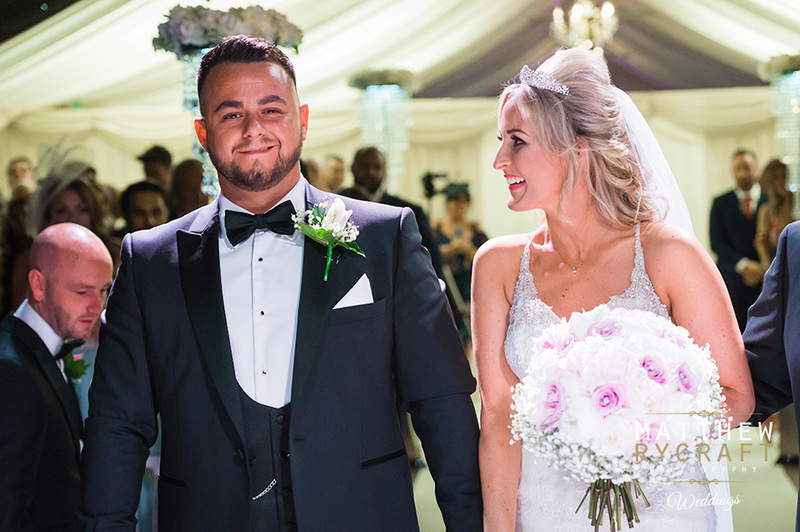 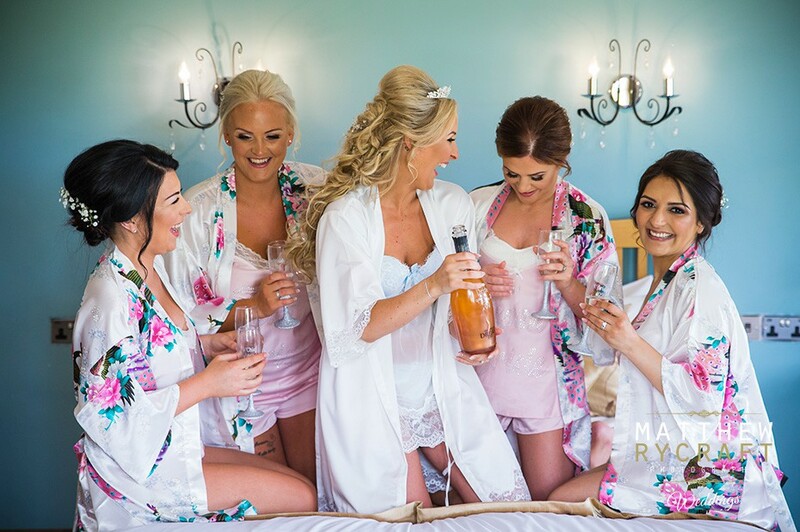 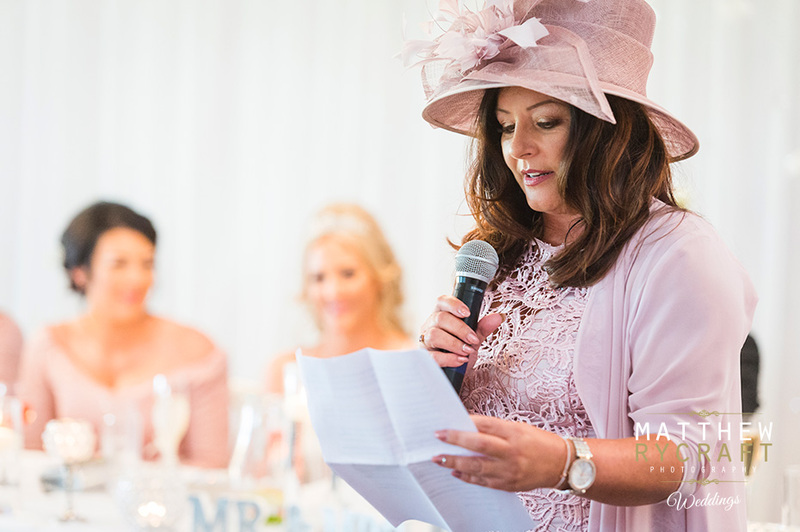 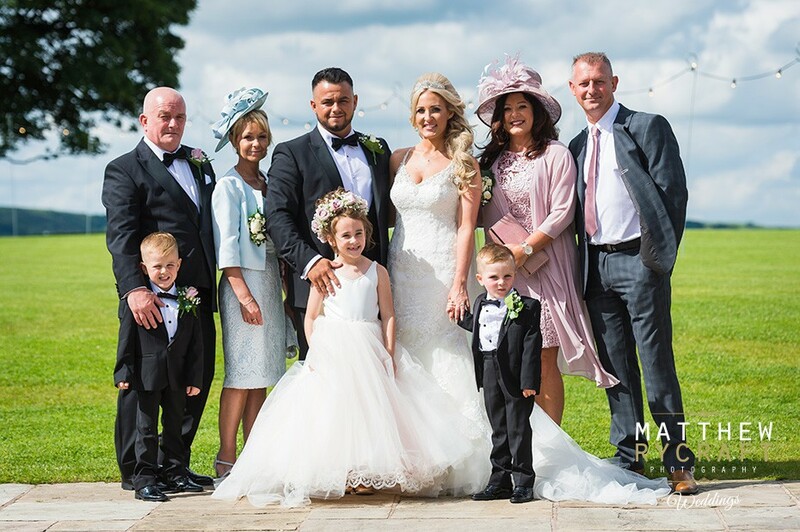 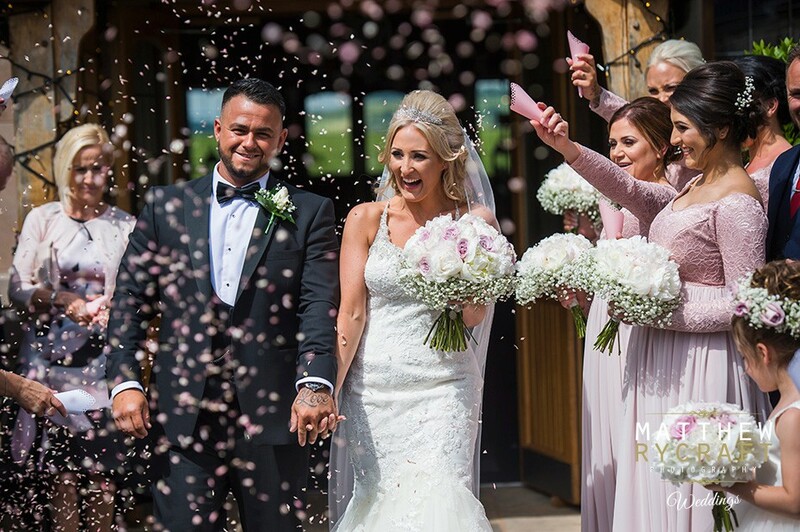 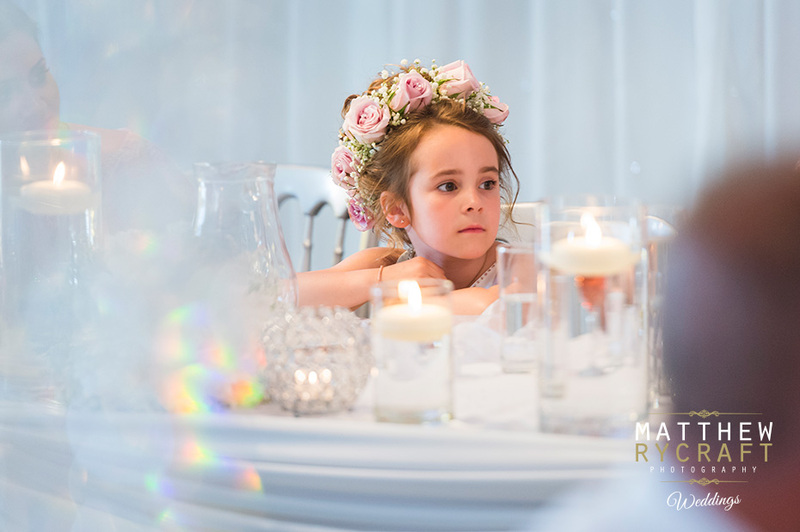 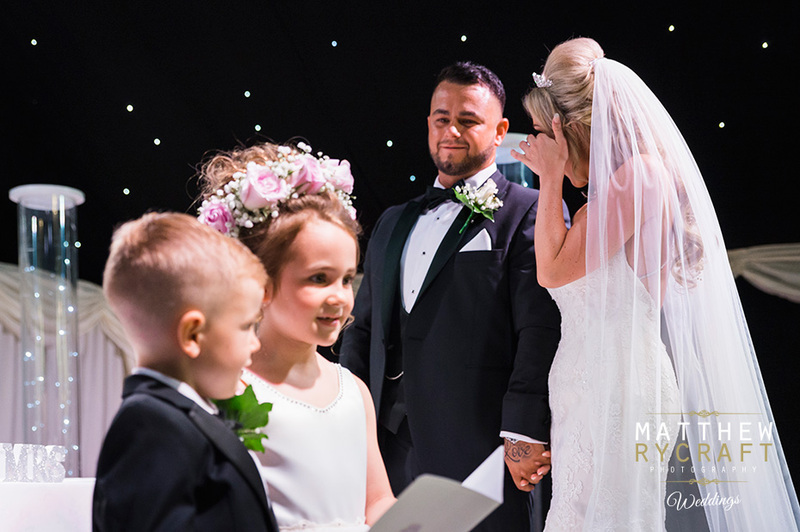 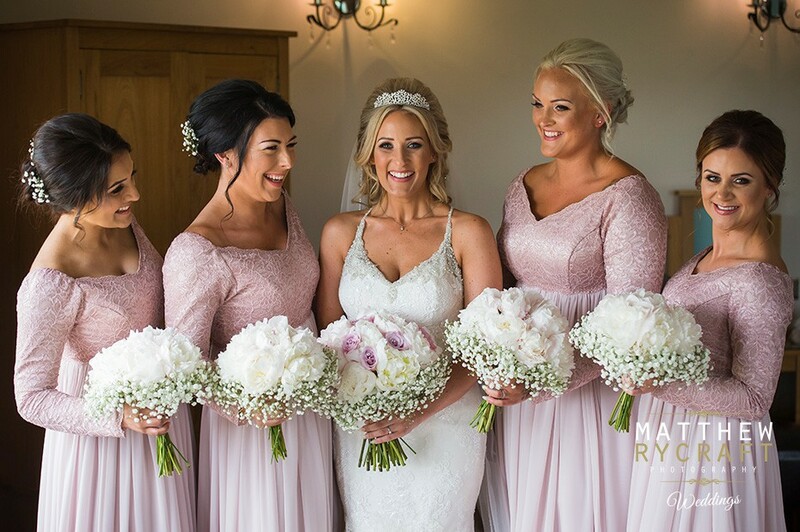 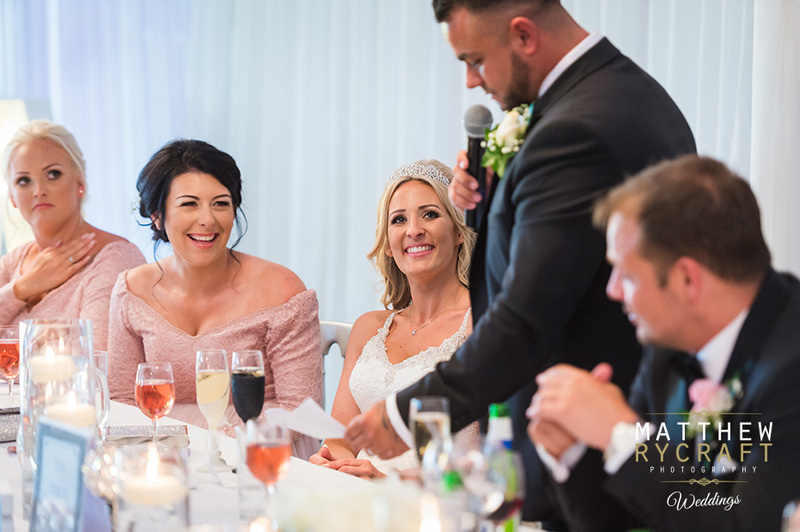 We opted for a Grecian-style with a lace top in dusky pink – my best girls looked gorgeous!” The couple’s daughter wore a princess-style dress with crystal straps and butterfly shoes to match her mum. 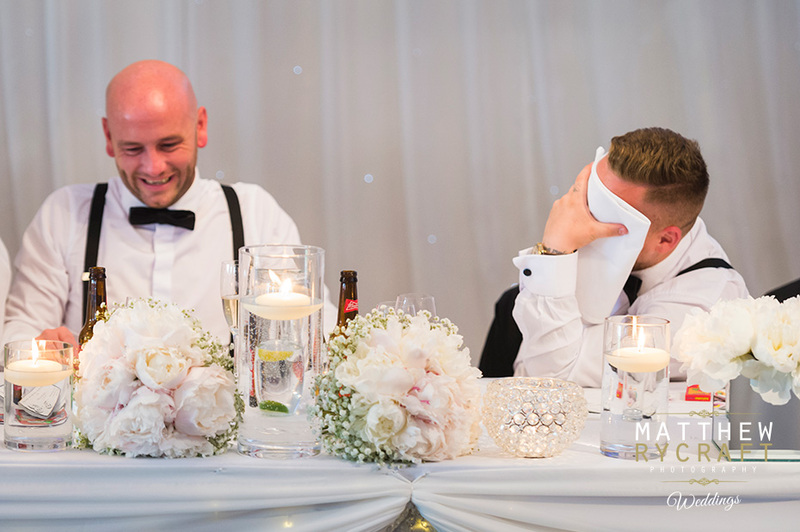 After the all-important vows the couple entertained guests with a photo booth. 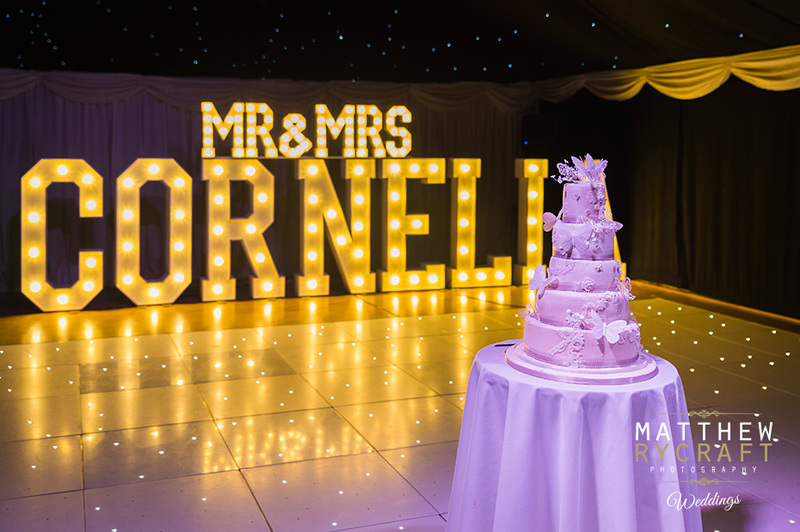 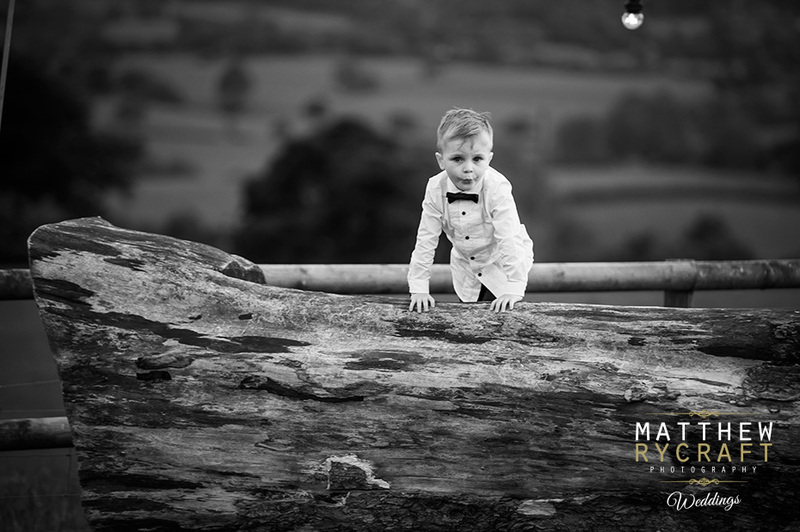 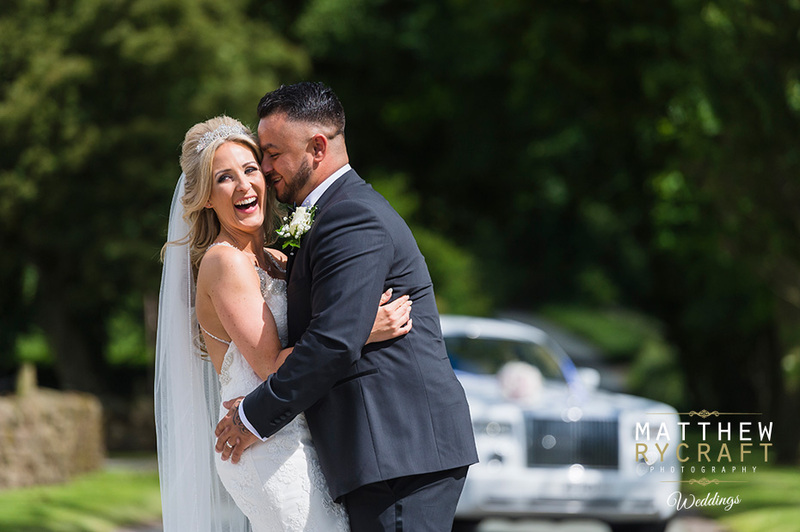 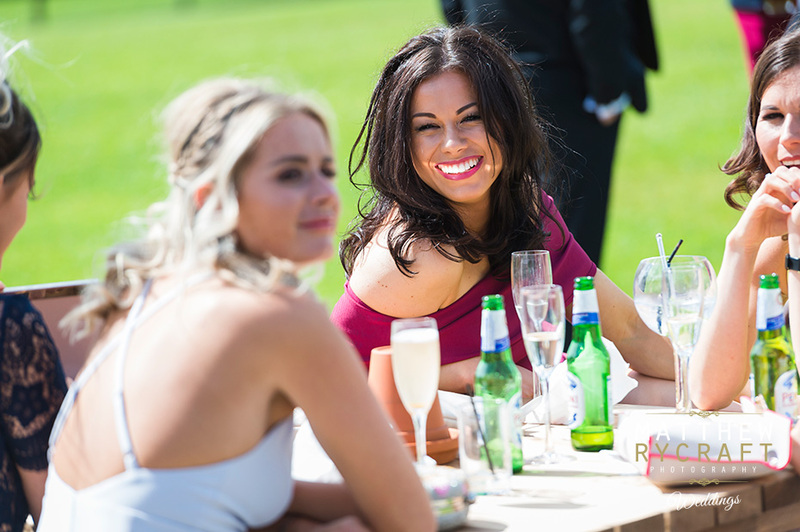 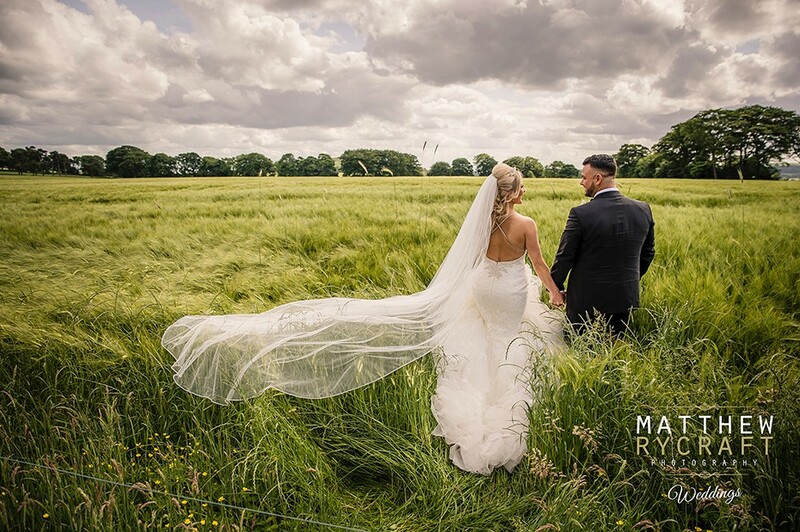 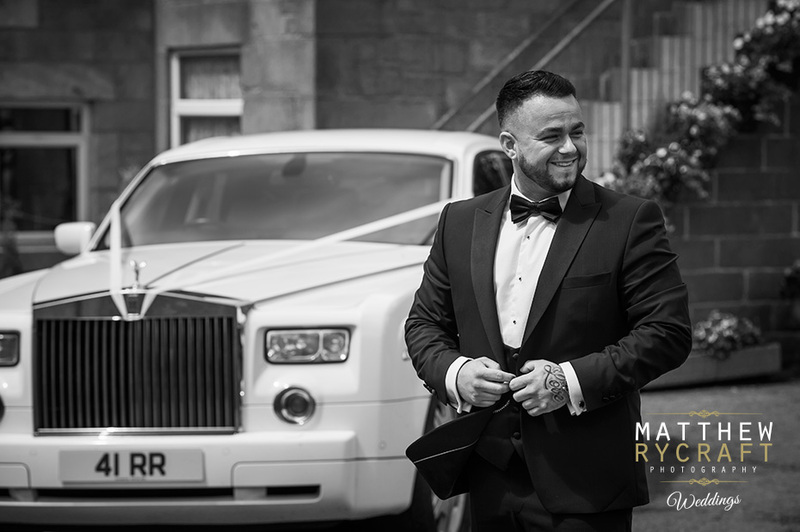 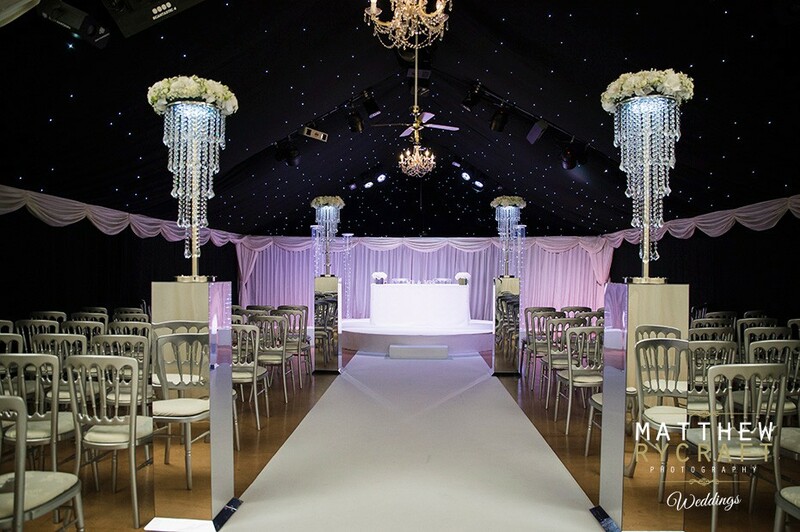 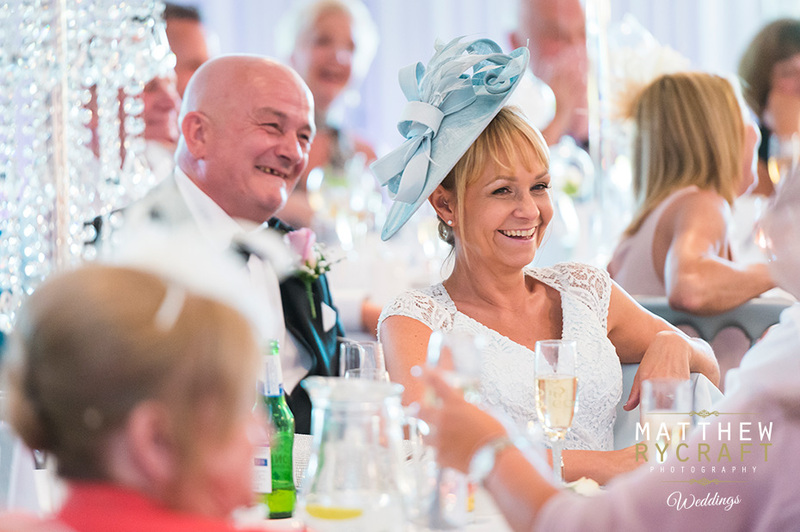 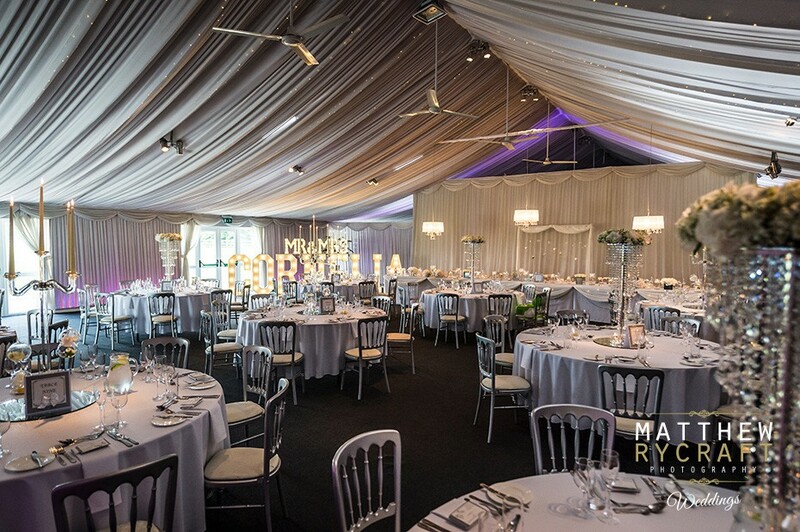 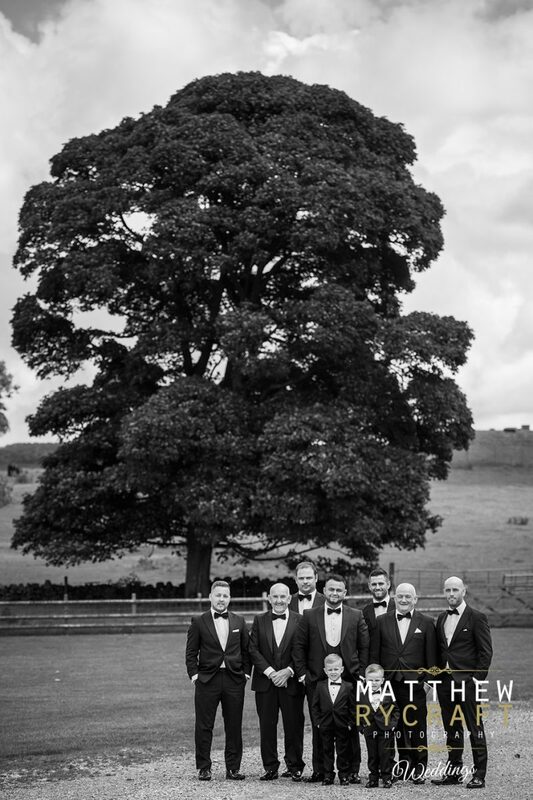 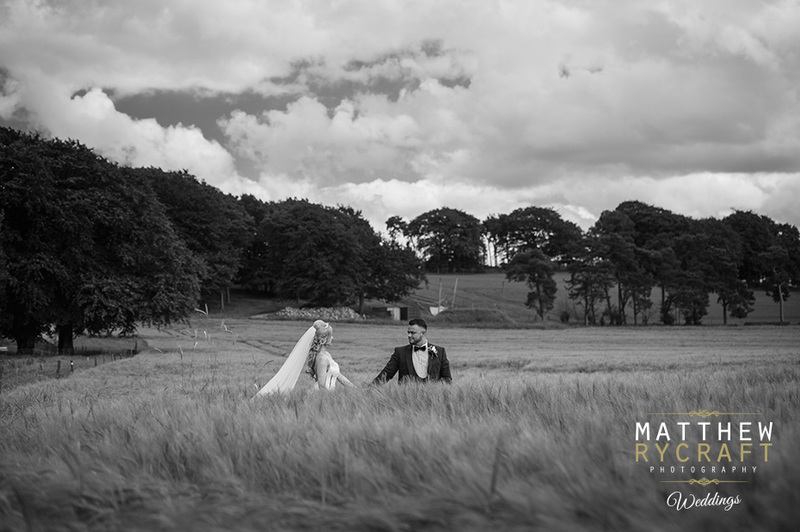 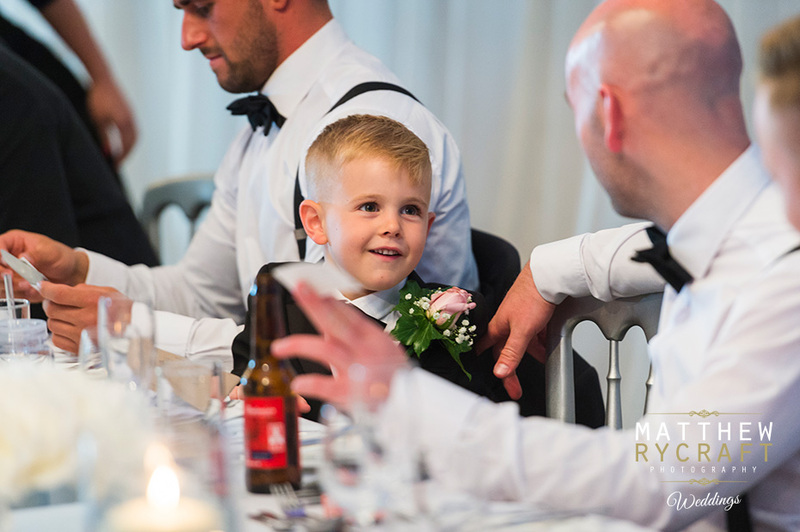 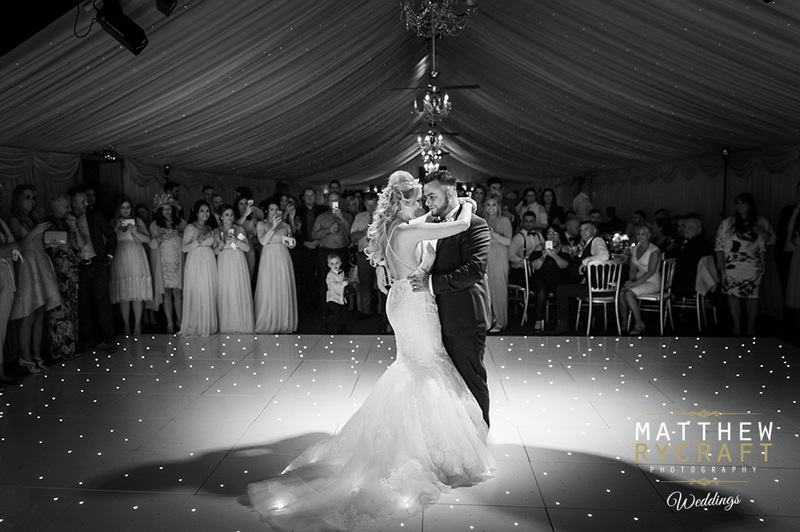 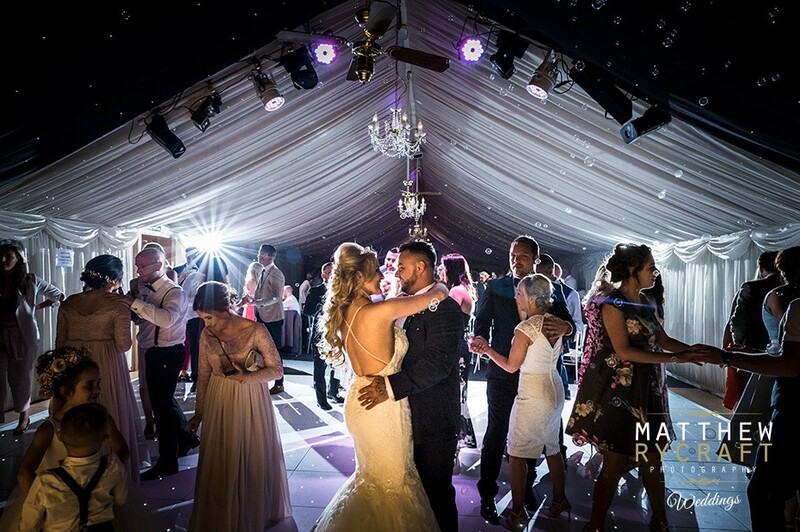 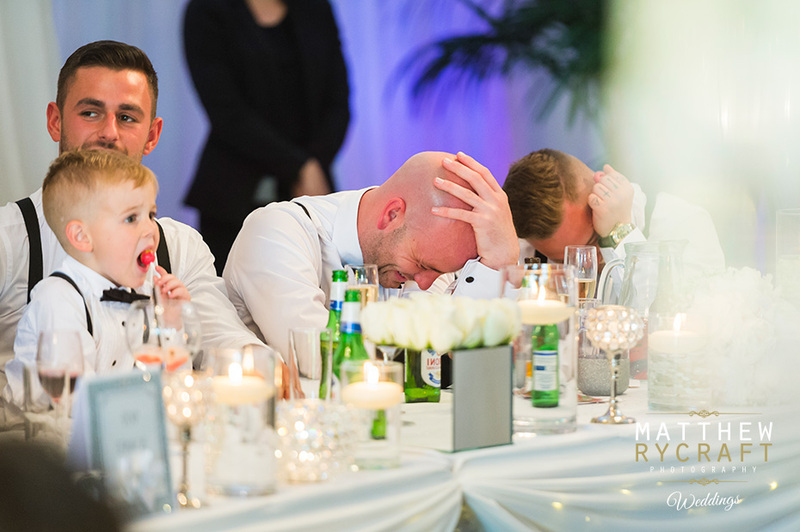 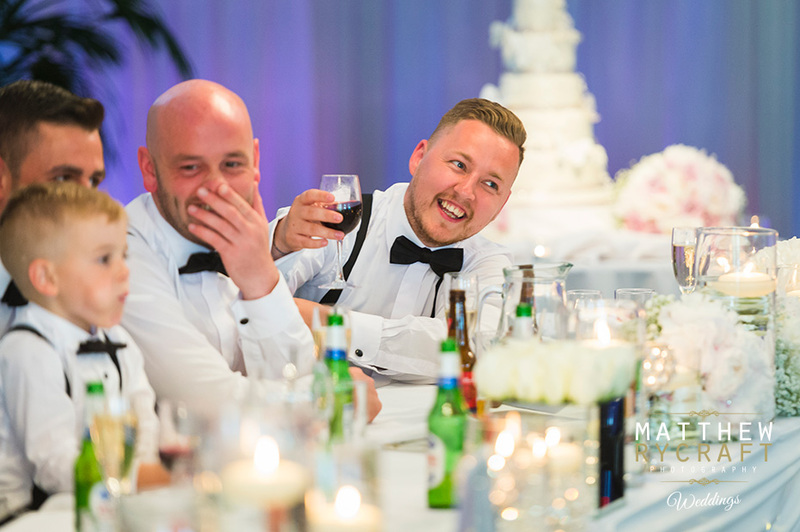 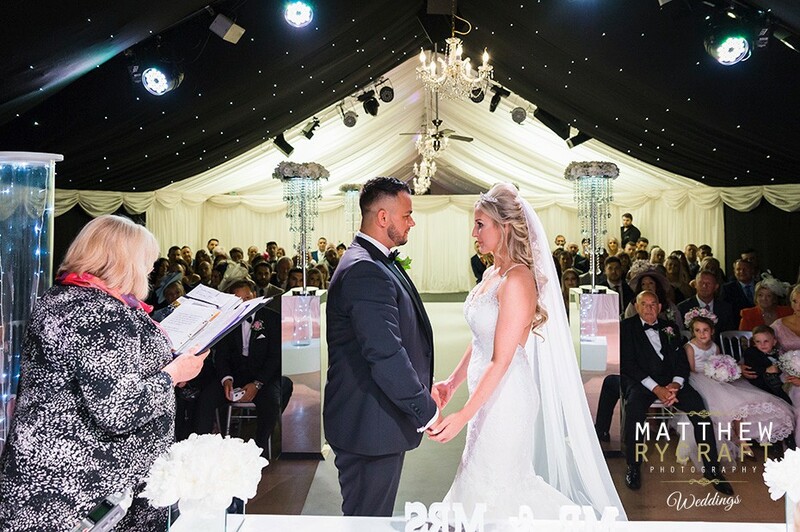 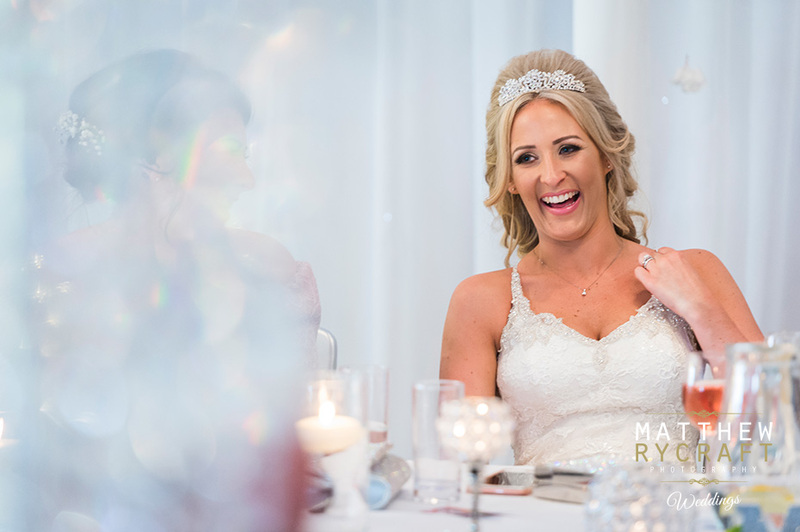 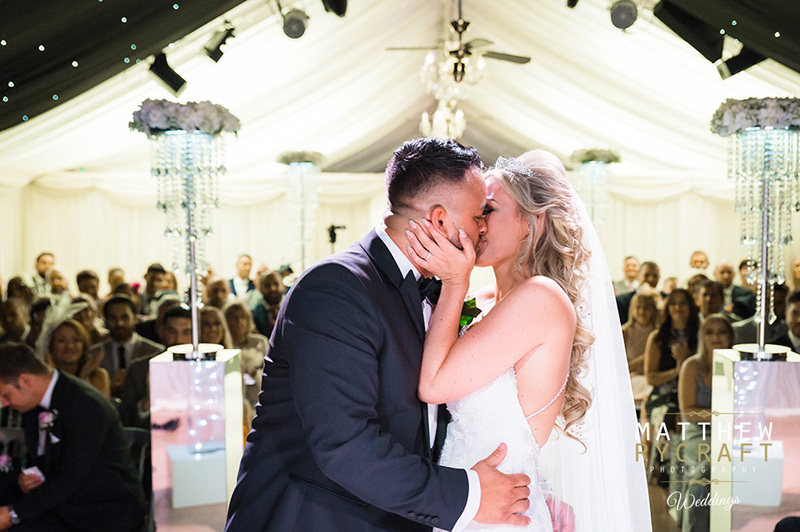 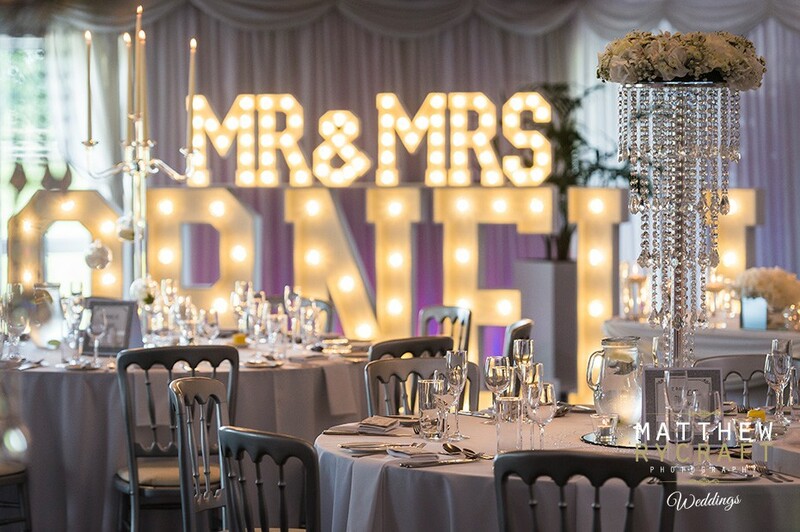 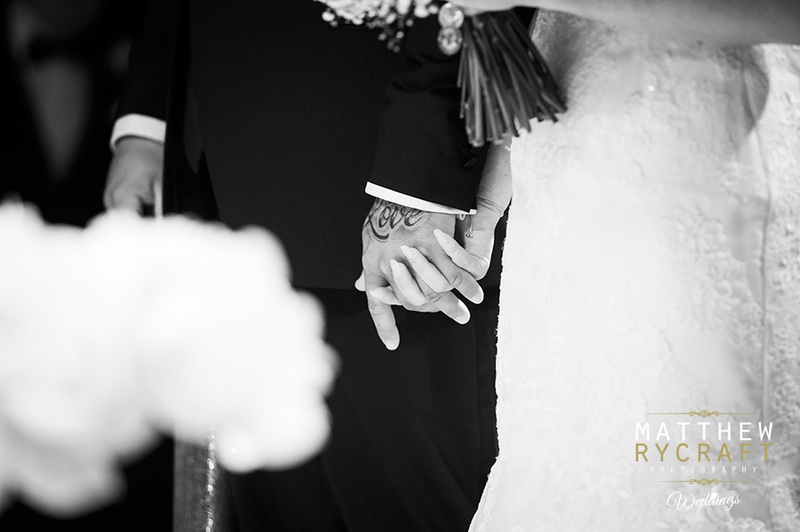 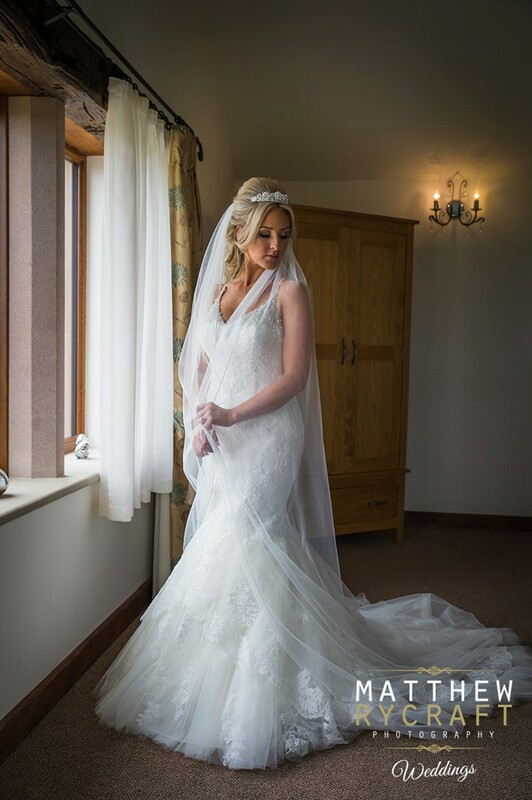 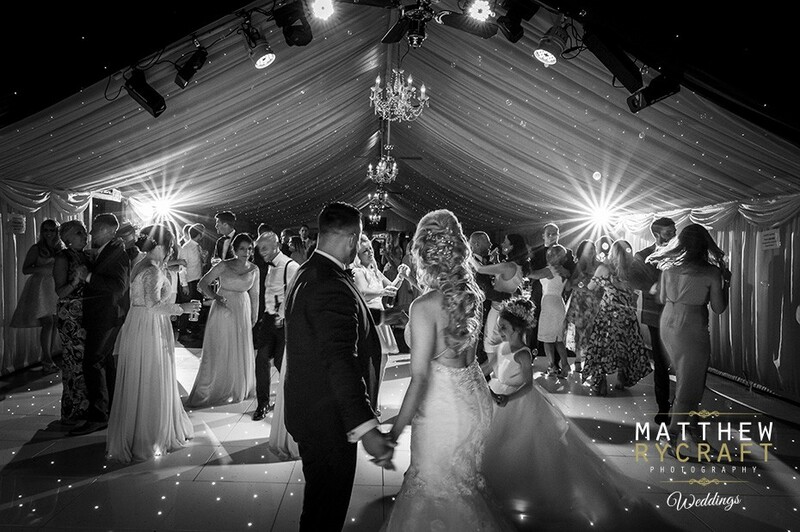 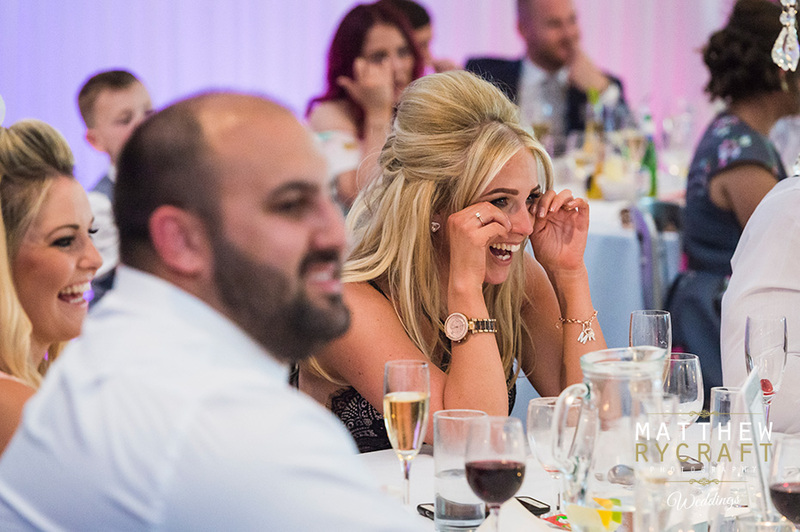 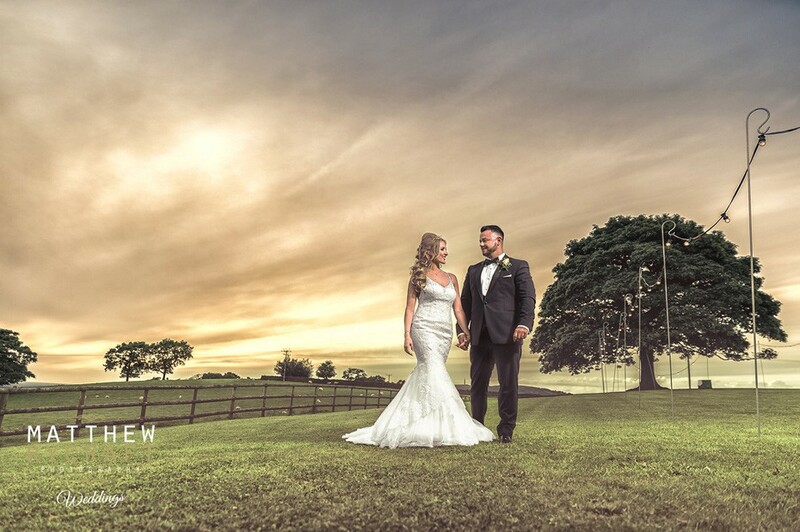 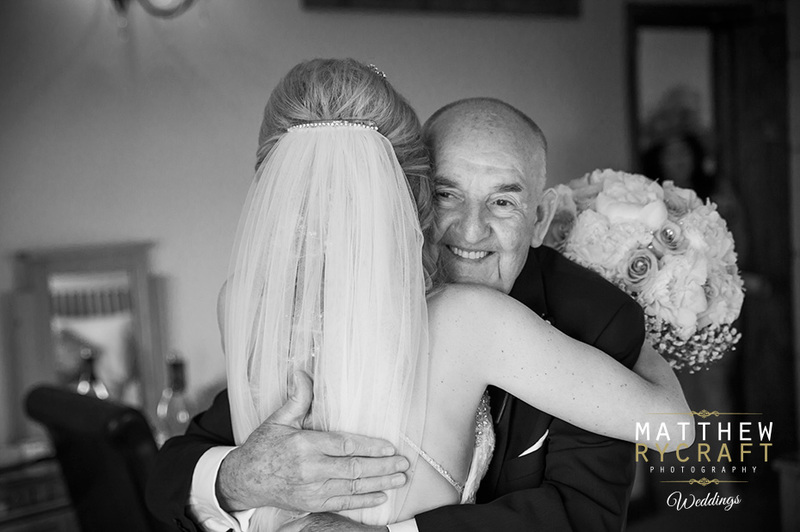 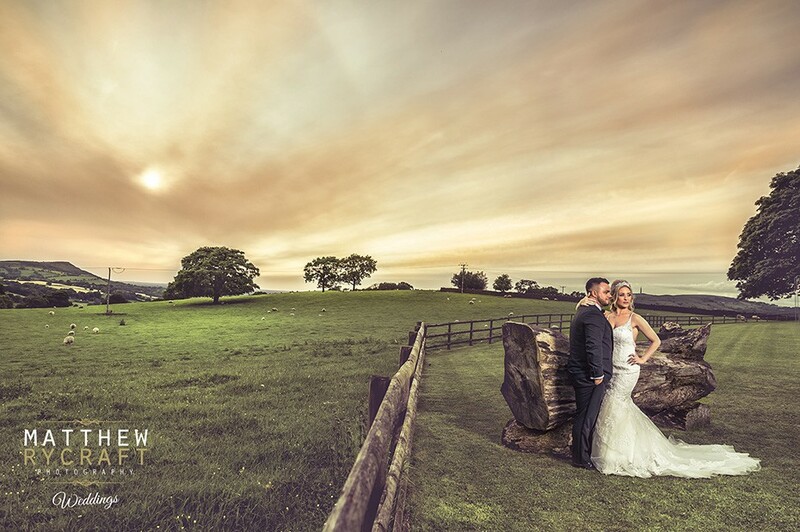 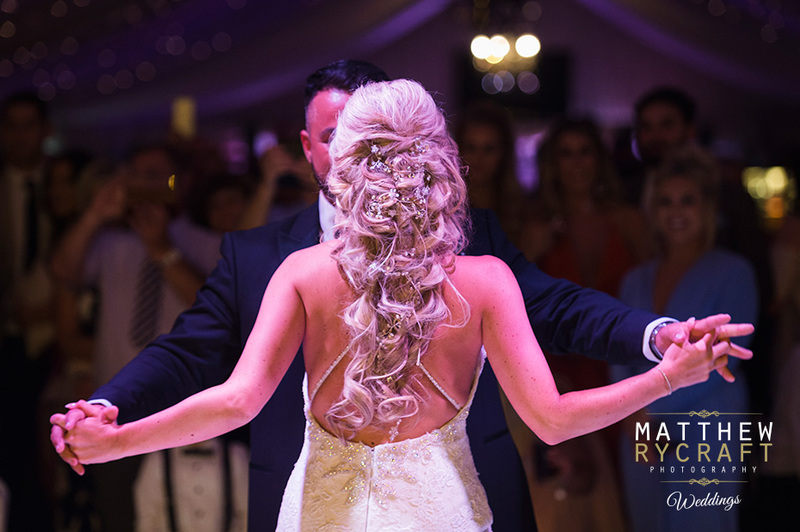 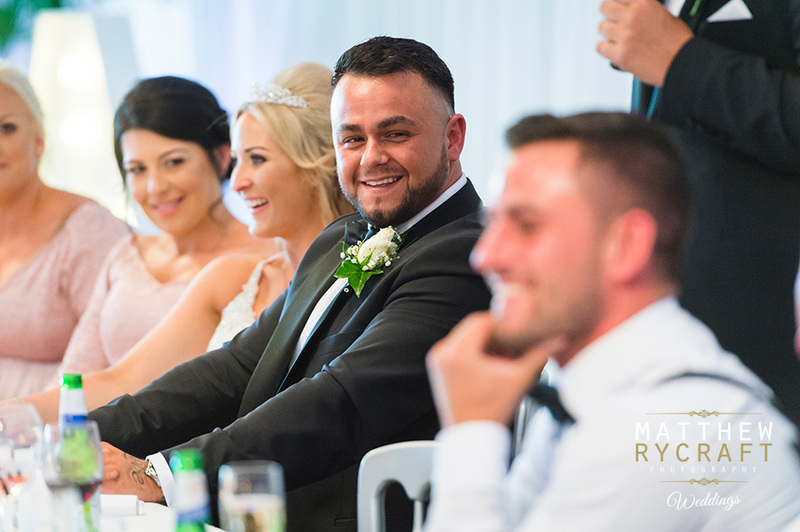 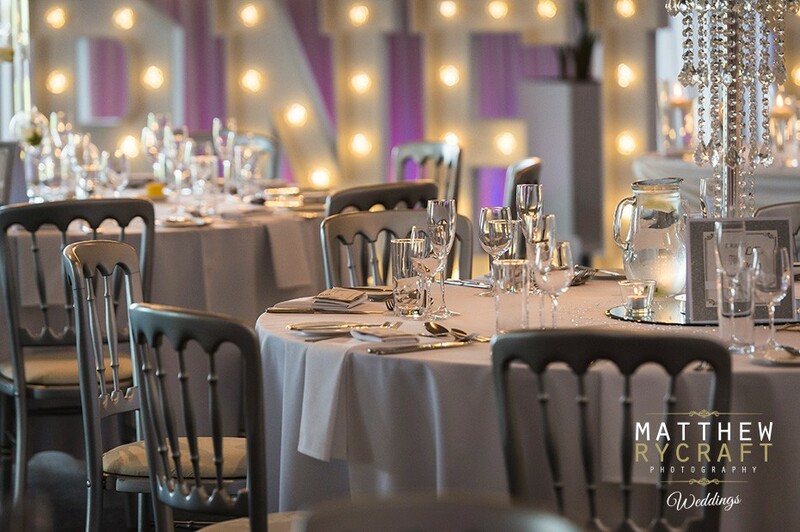 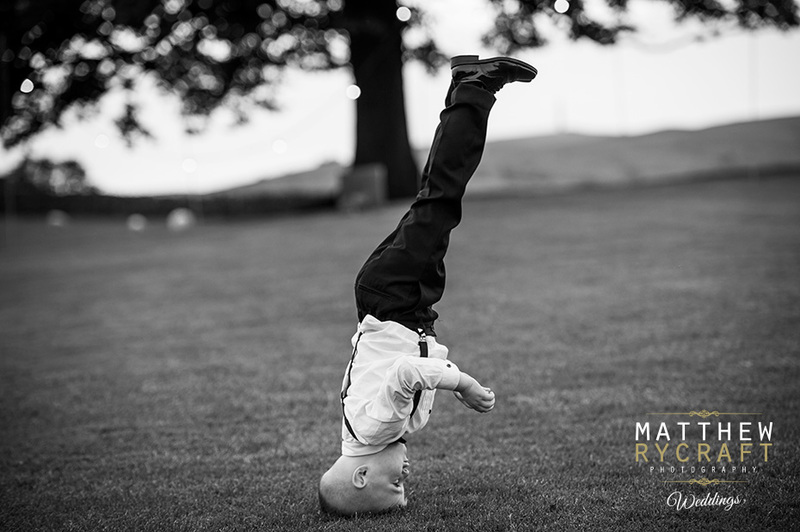 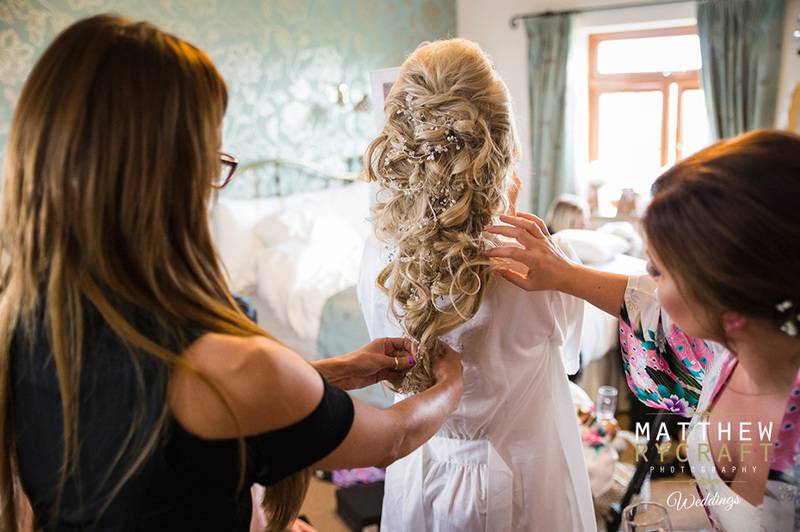 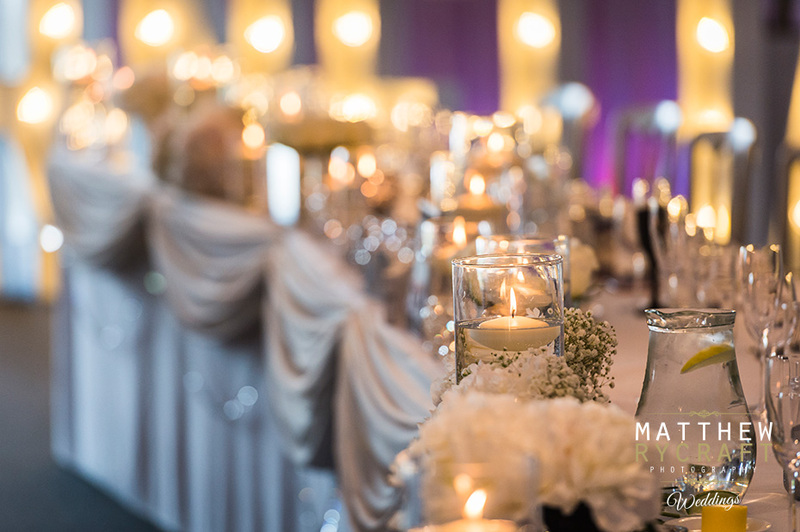 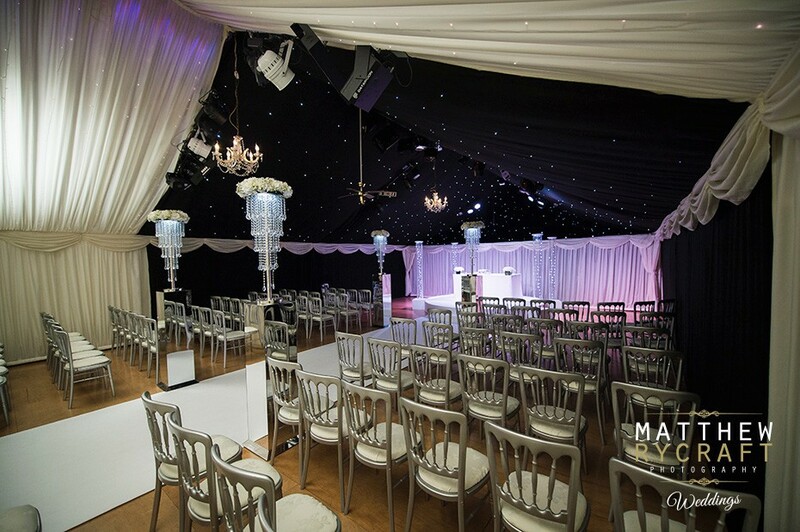 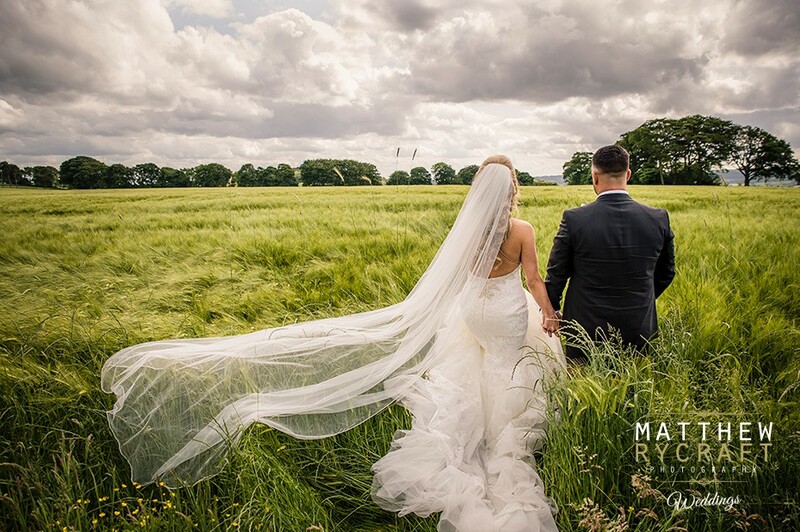 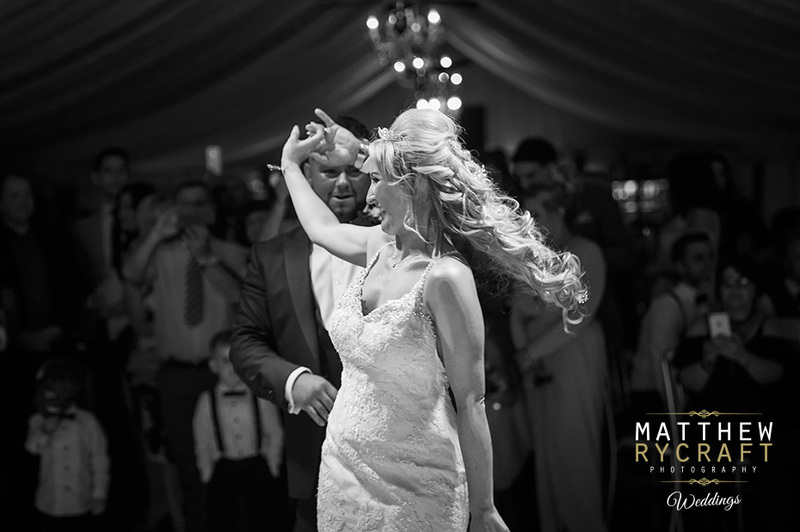 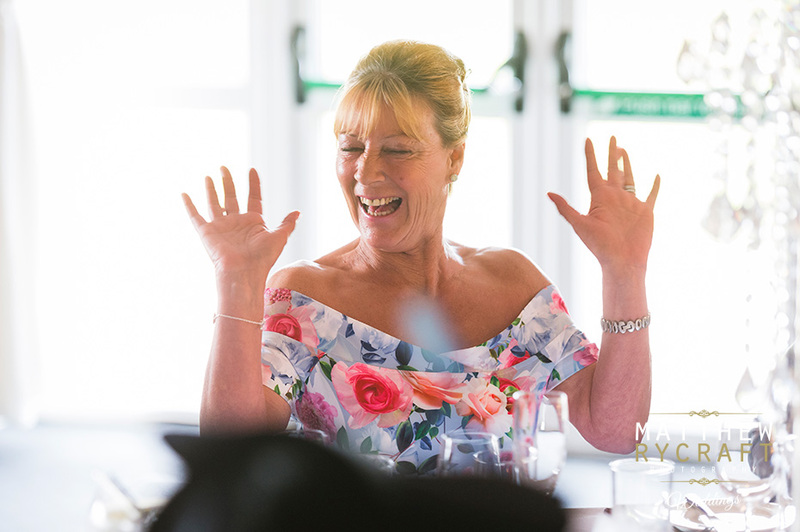 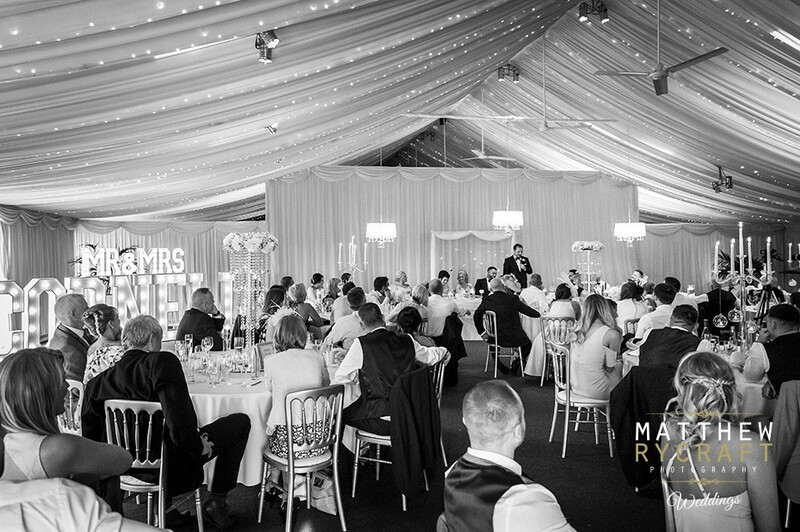 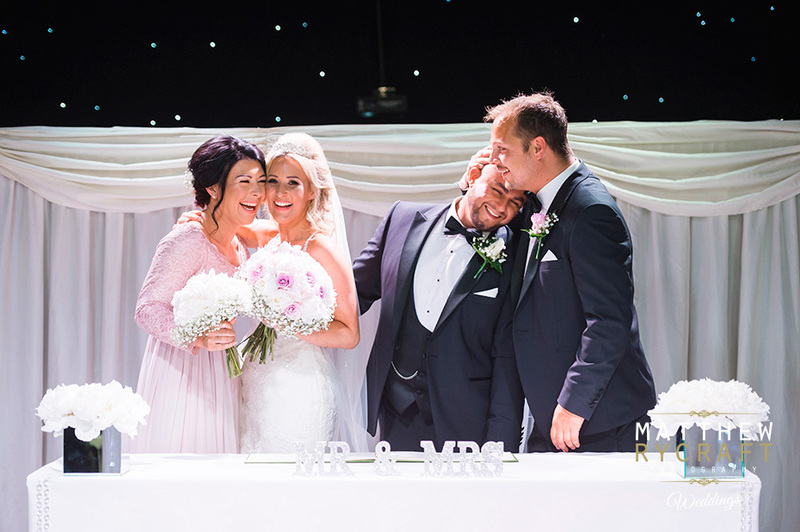 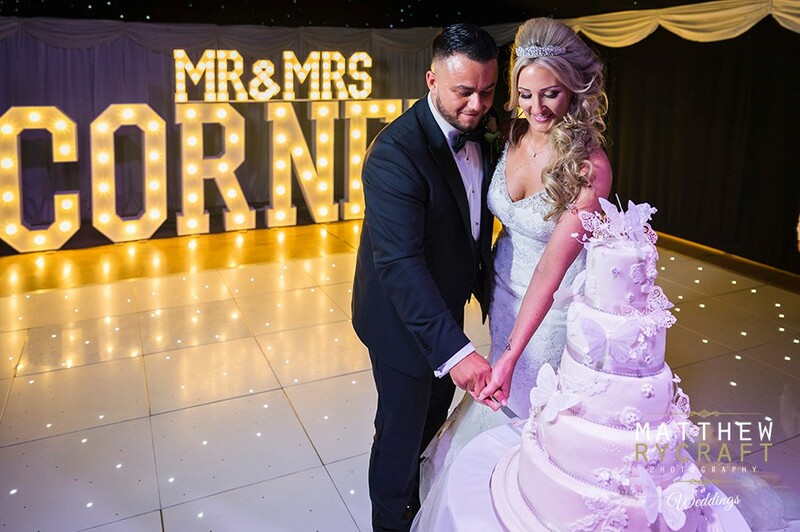 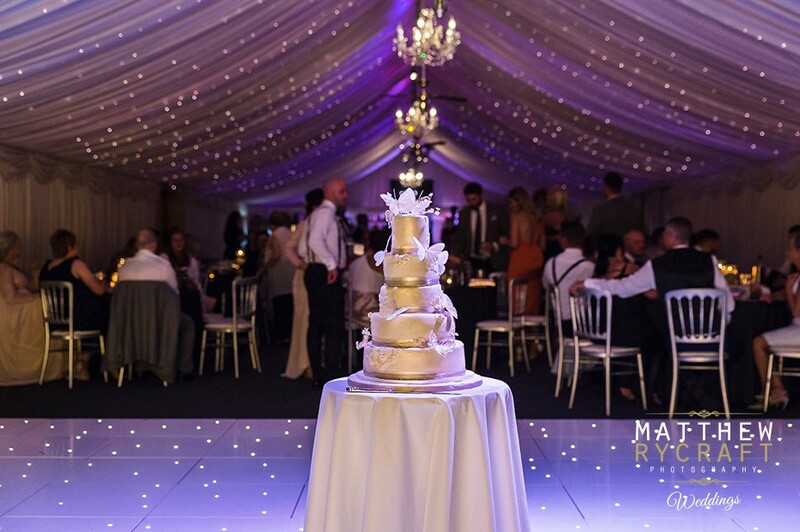 “It was a big hit with our friends and a real ice breaker – I love looking at the images now,” says the bride. 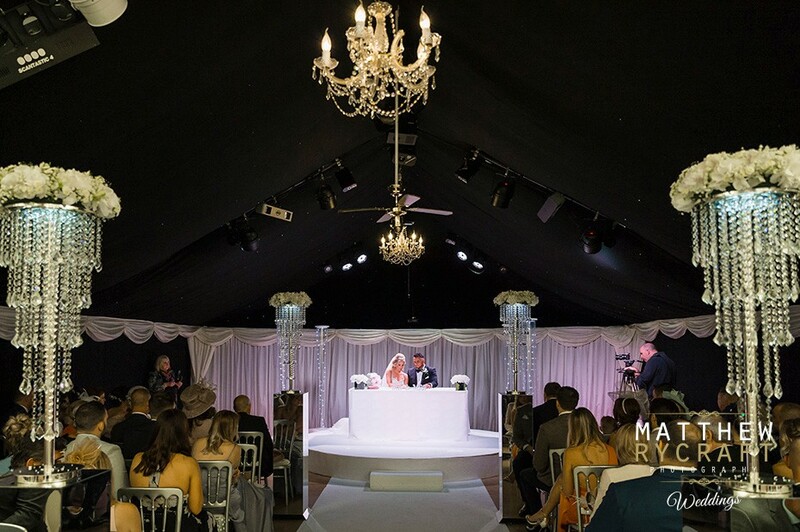 There was a DJ in the evening to get the congregation up partying, all fuelled by a delicious sweet cart.